I have done my one year practical training at this company. 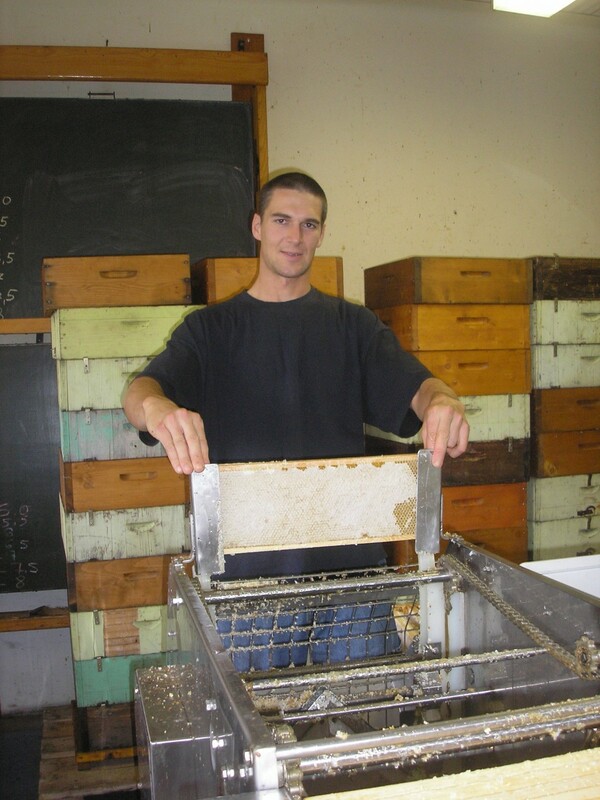 I studied English and I was introduced into comerical queen bee rearing and selling. 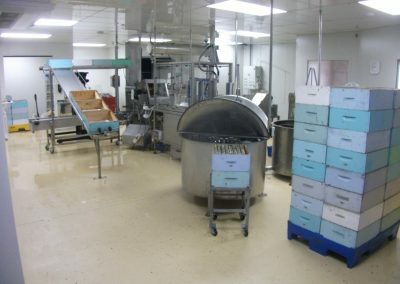 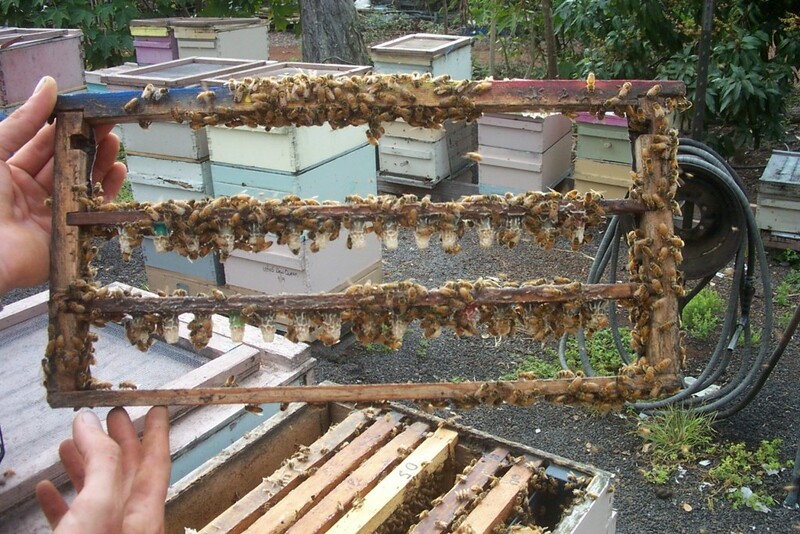 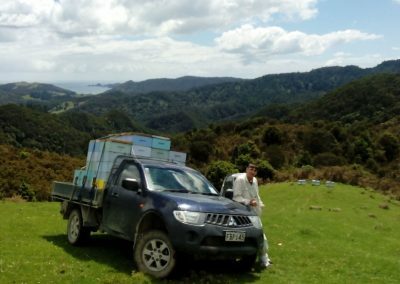 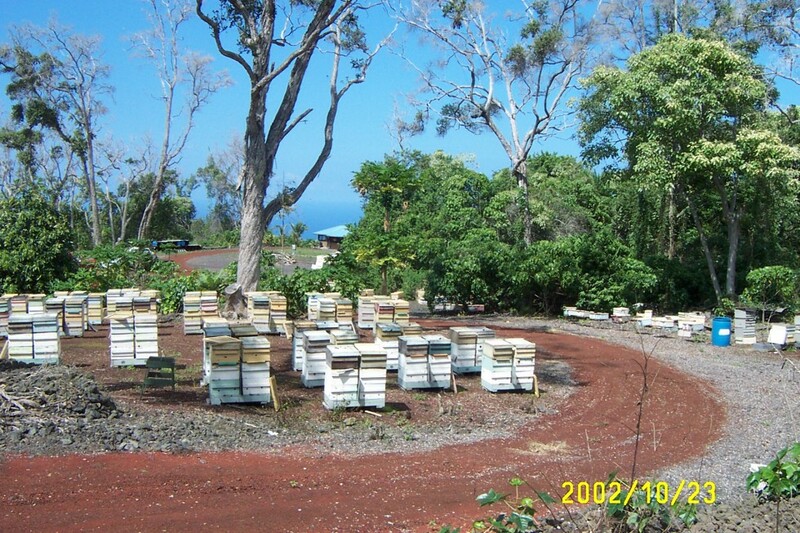 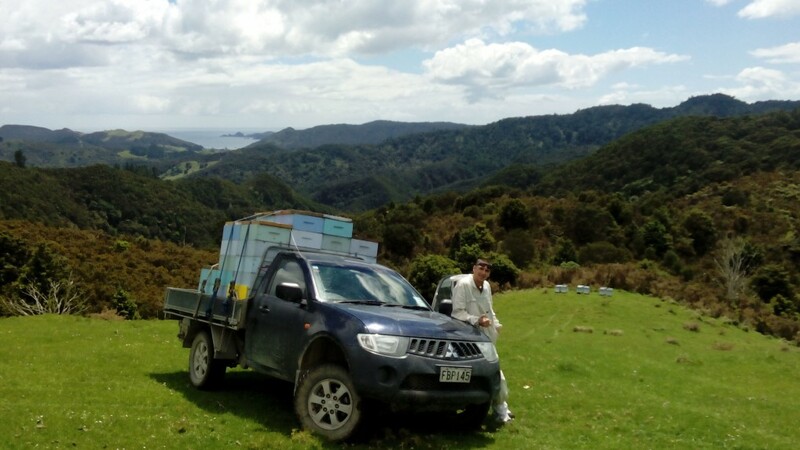 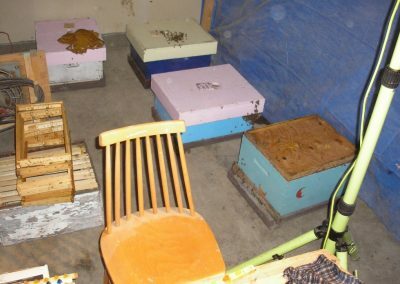 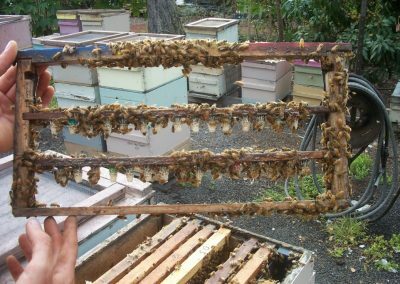 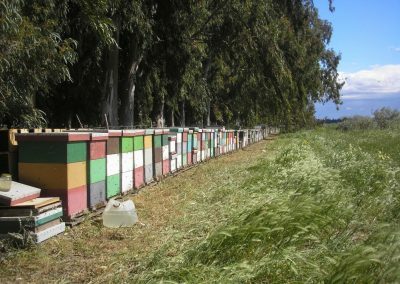 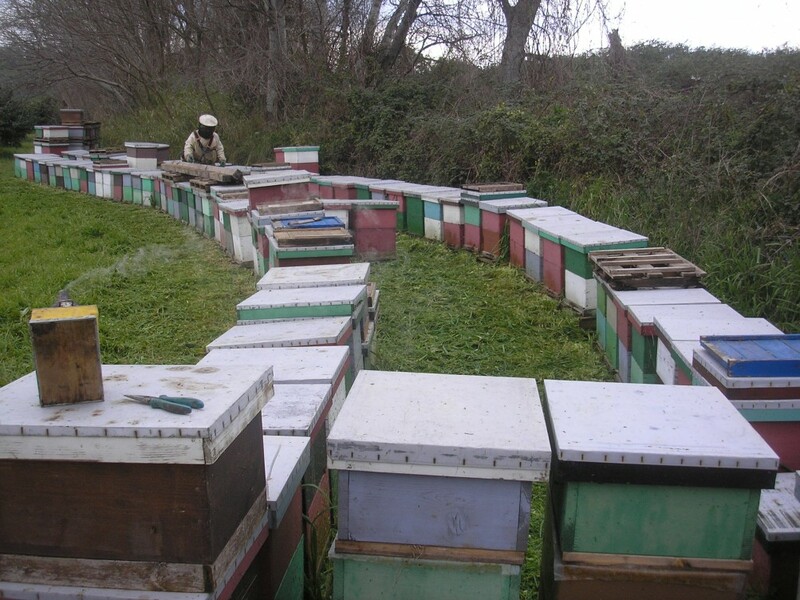 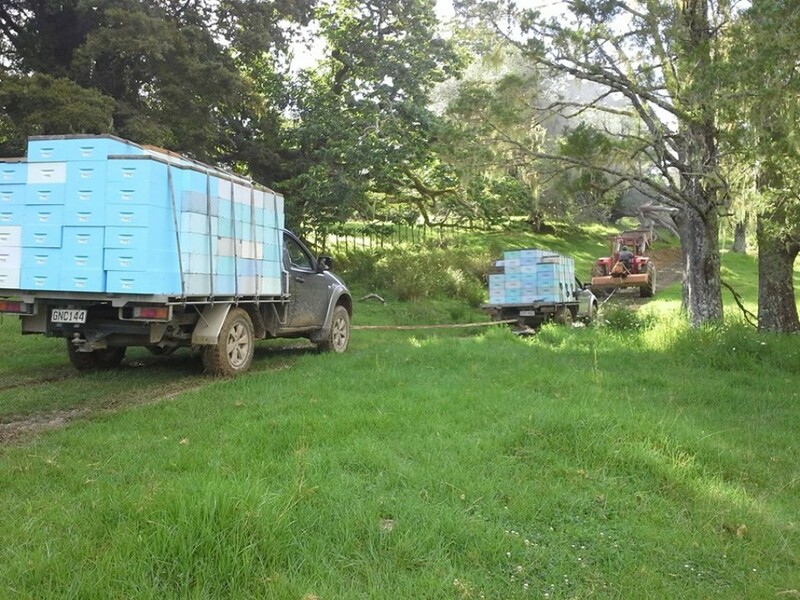 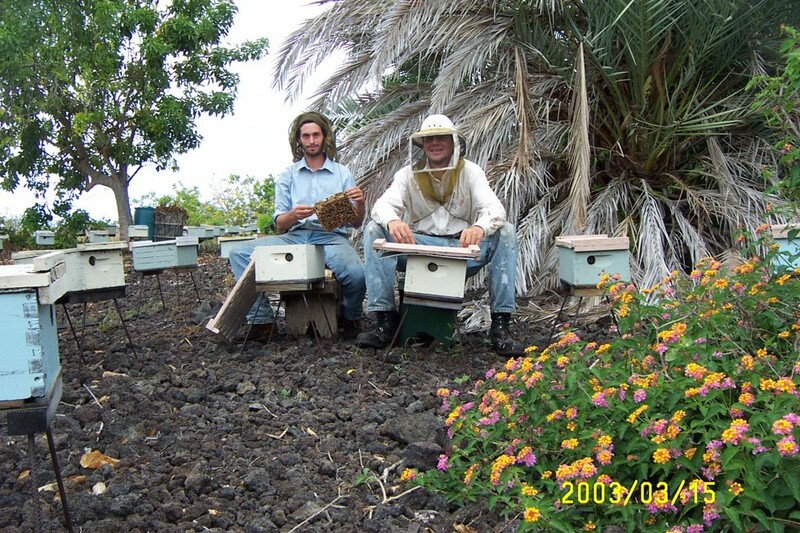 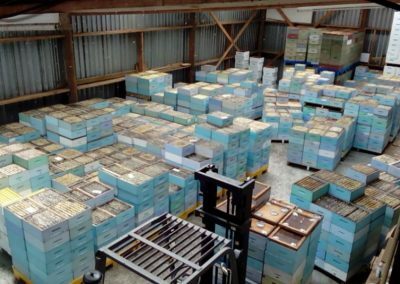 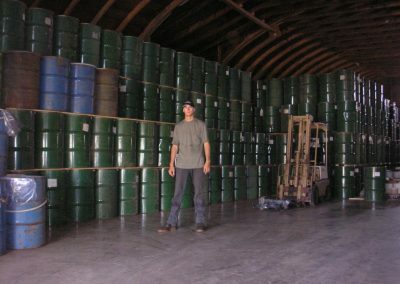 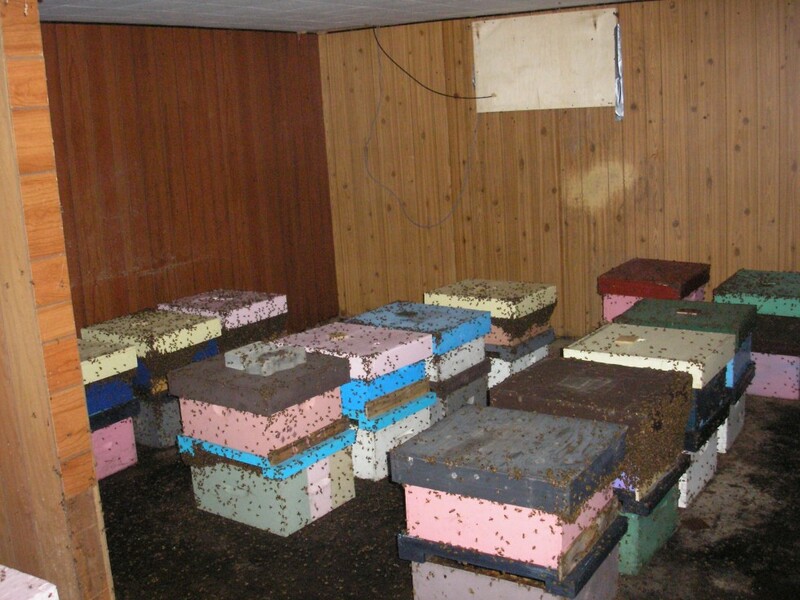 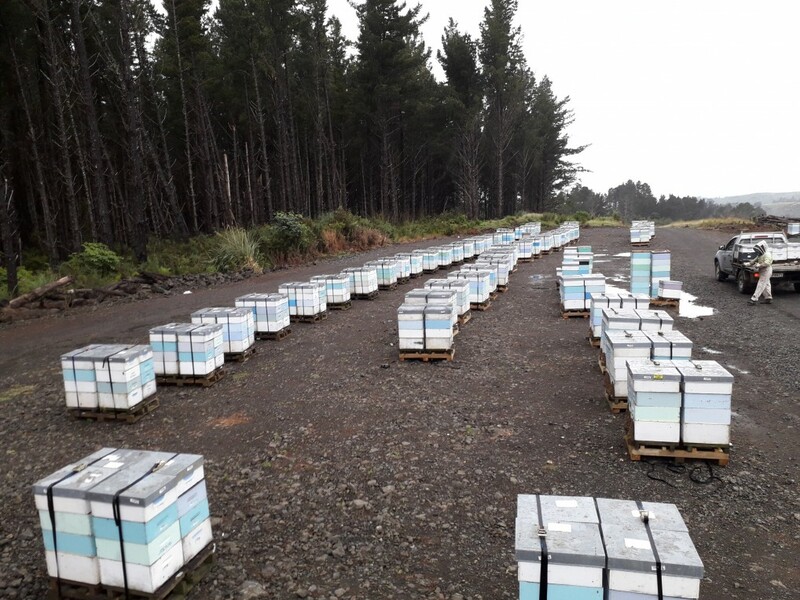 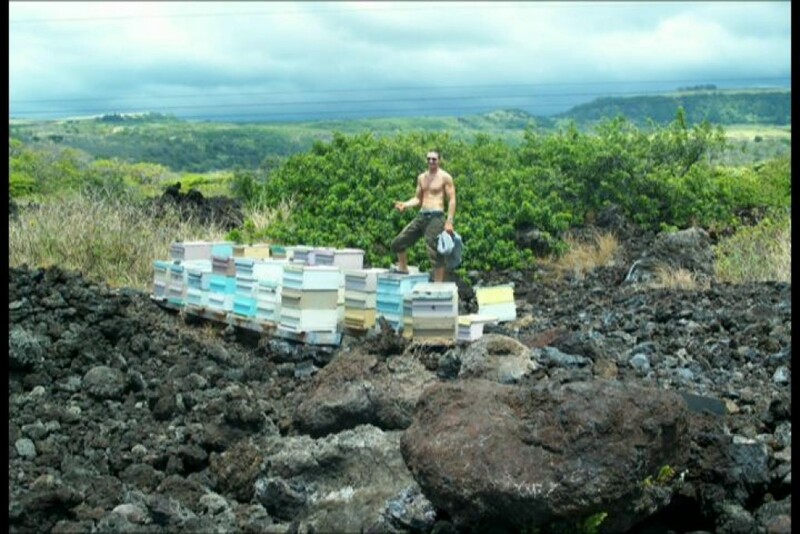 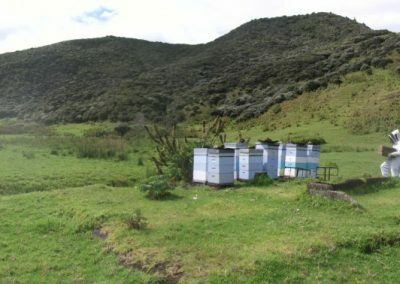 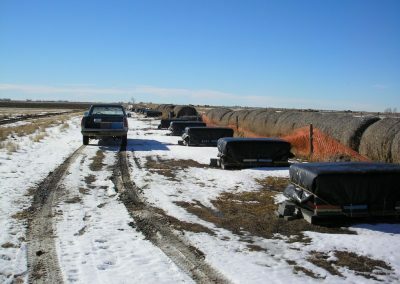 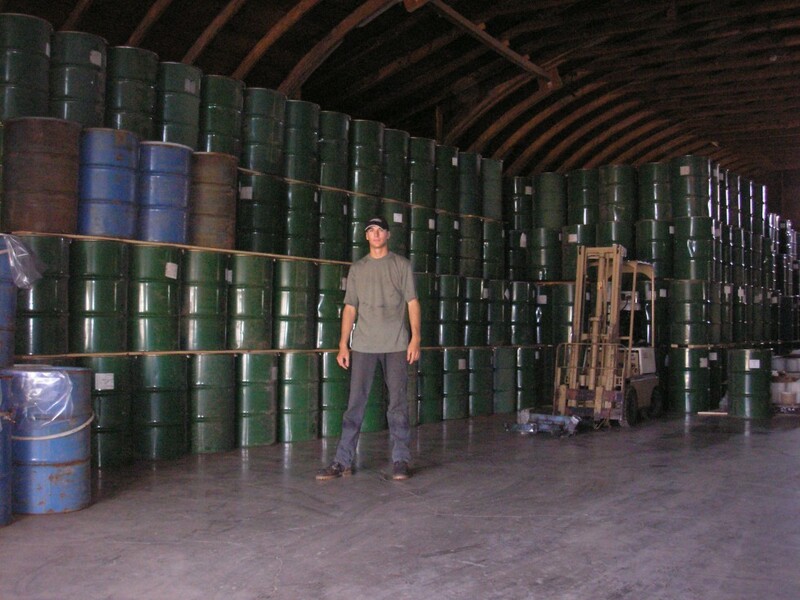 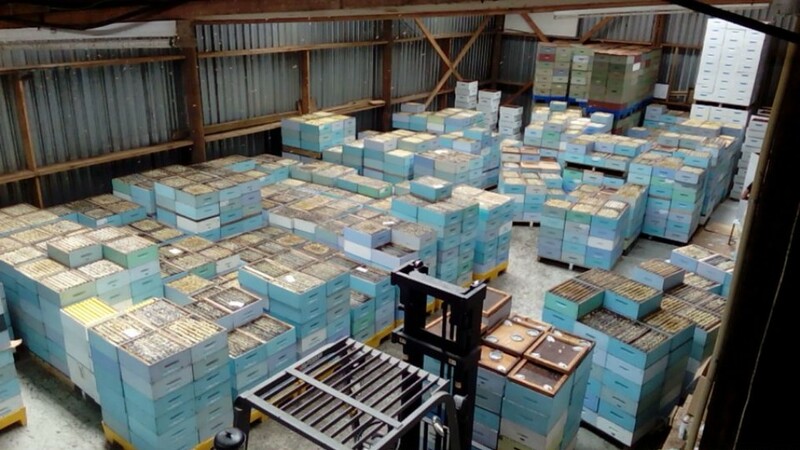 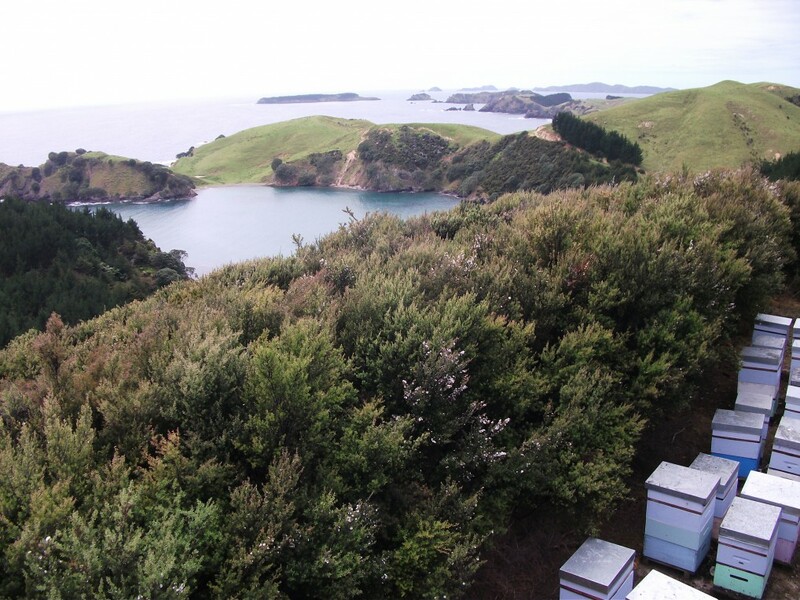 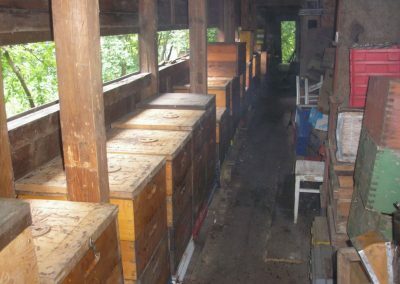 I was assigned to run this family owned bee farm (500 colonies) for 10 months. 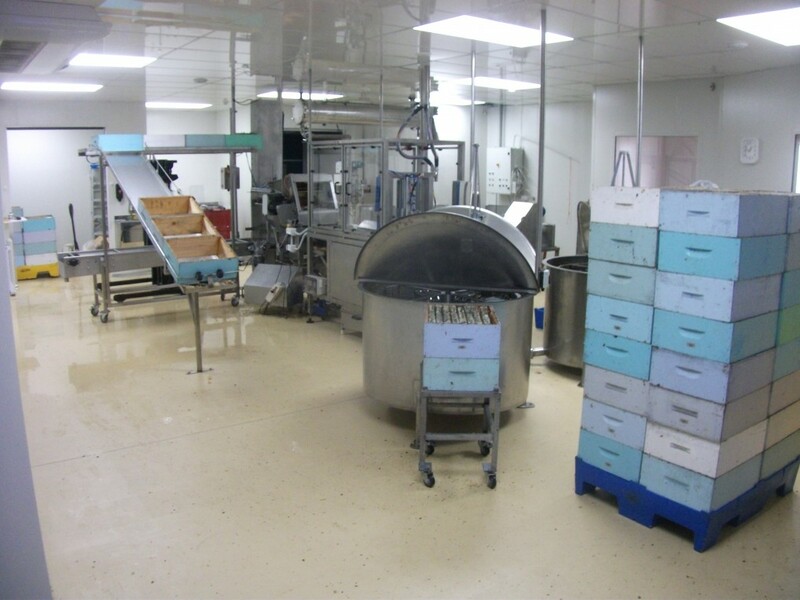 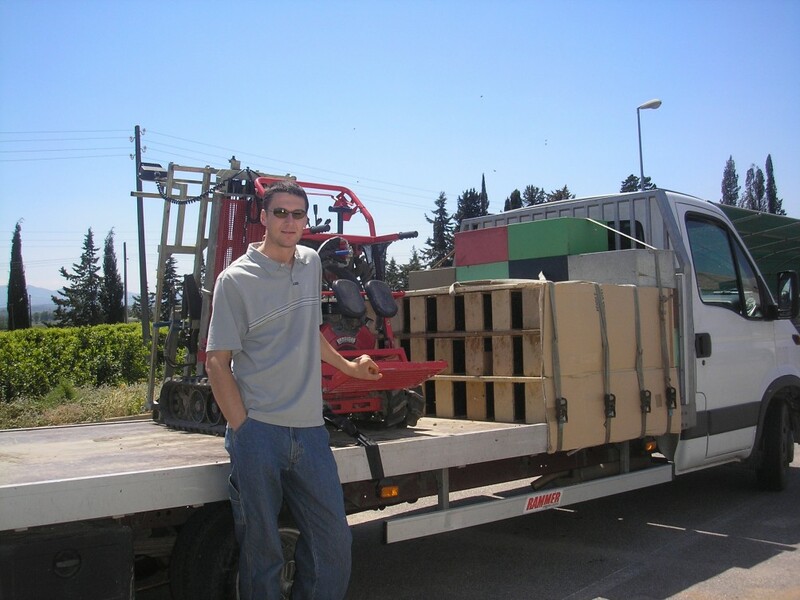 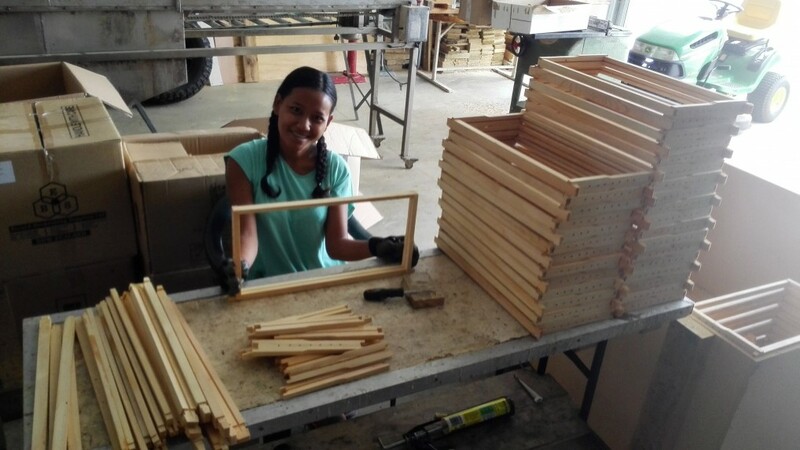 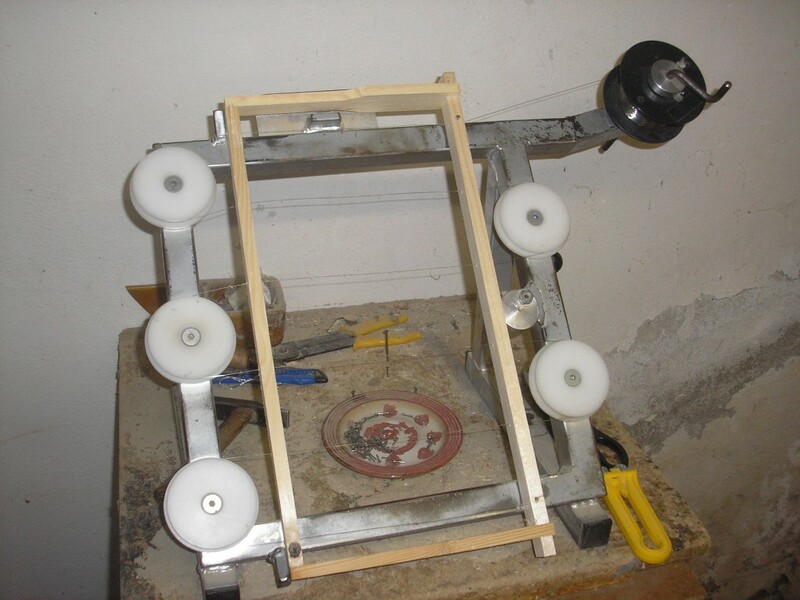 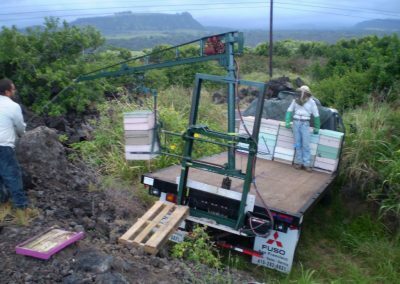 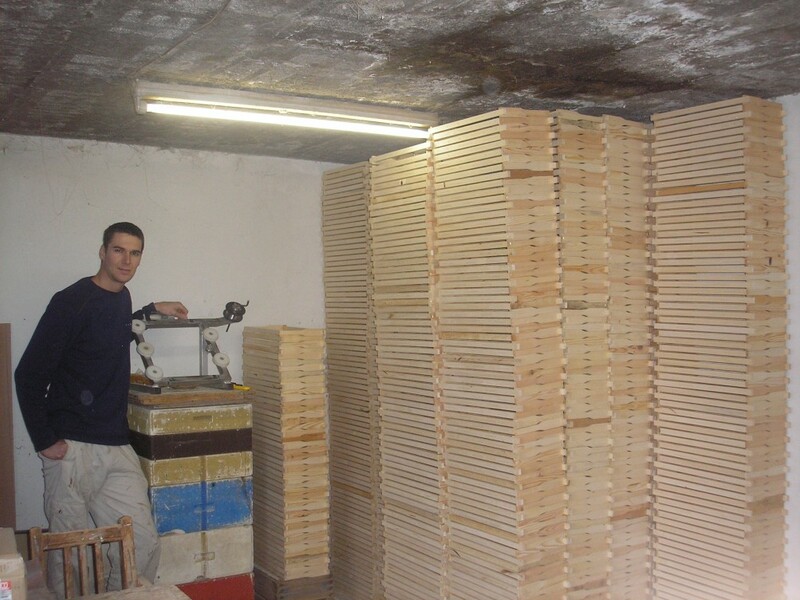 During my work I carried out independently of the production and logistic tasks. 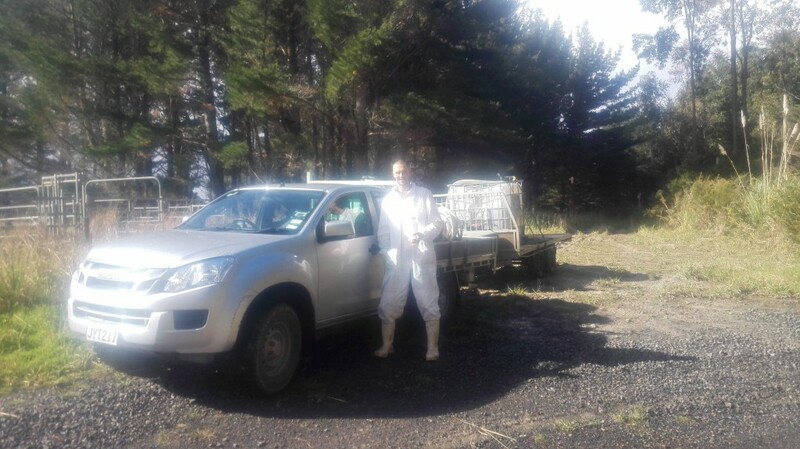 I was using high value equipments and livestock. 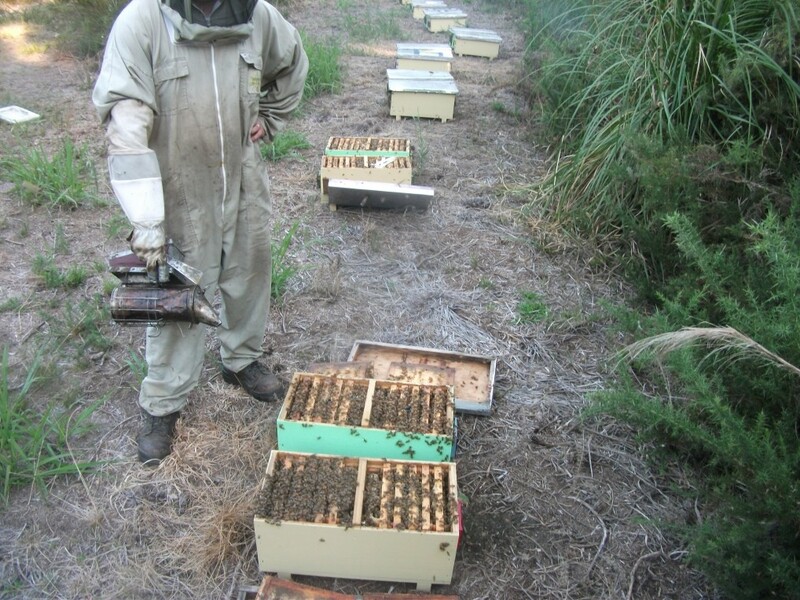 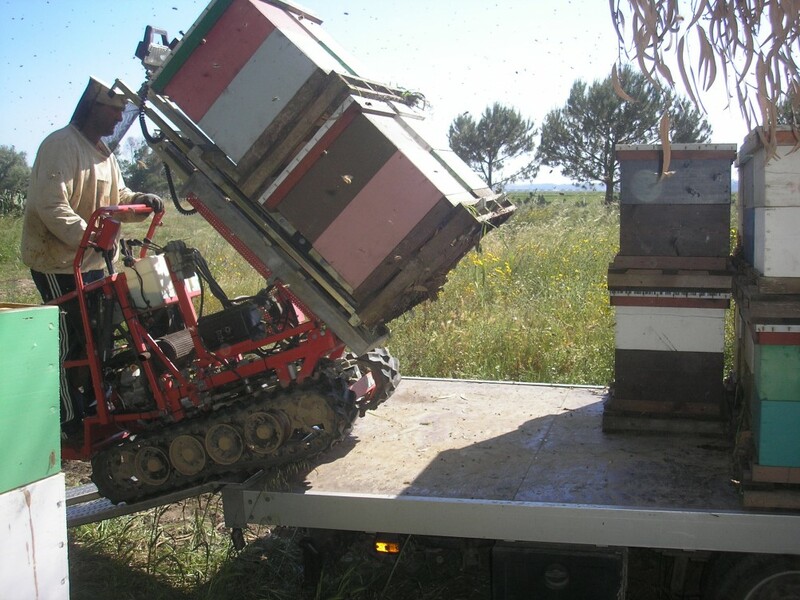 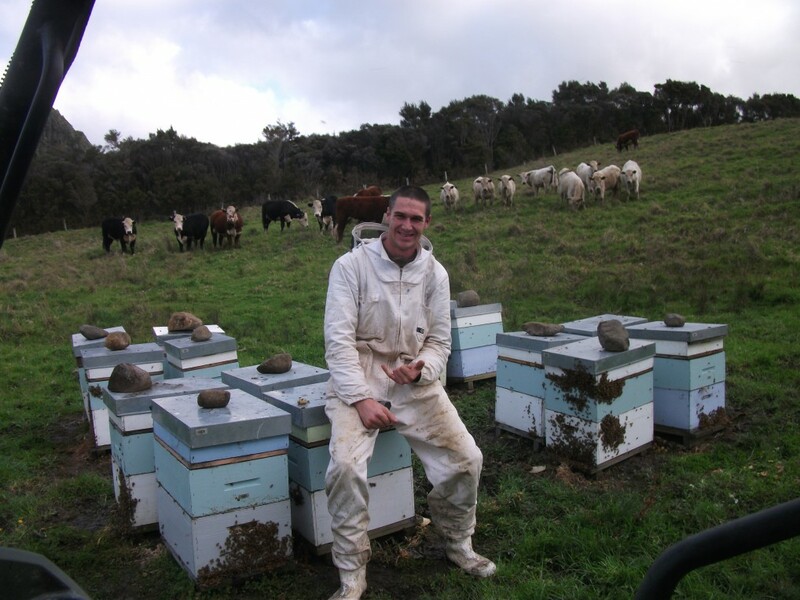 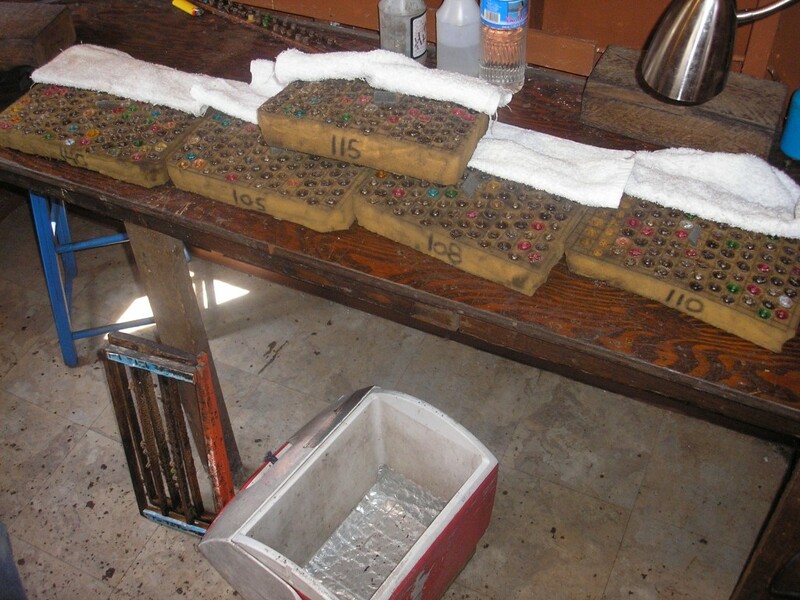 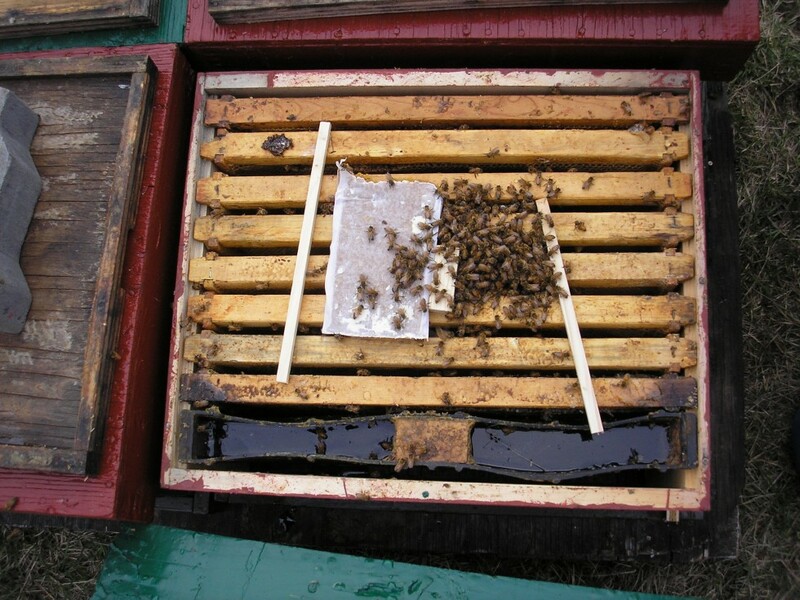 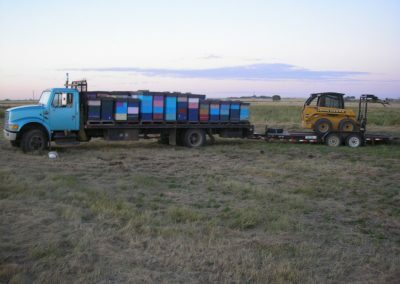 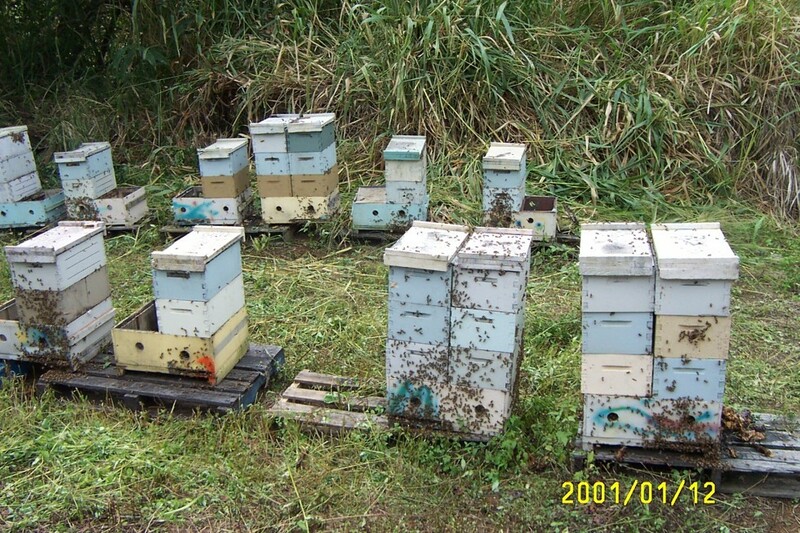 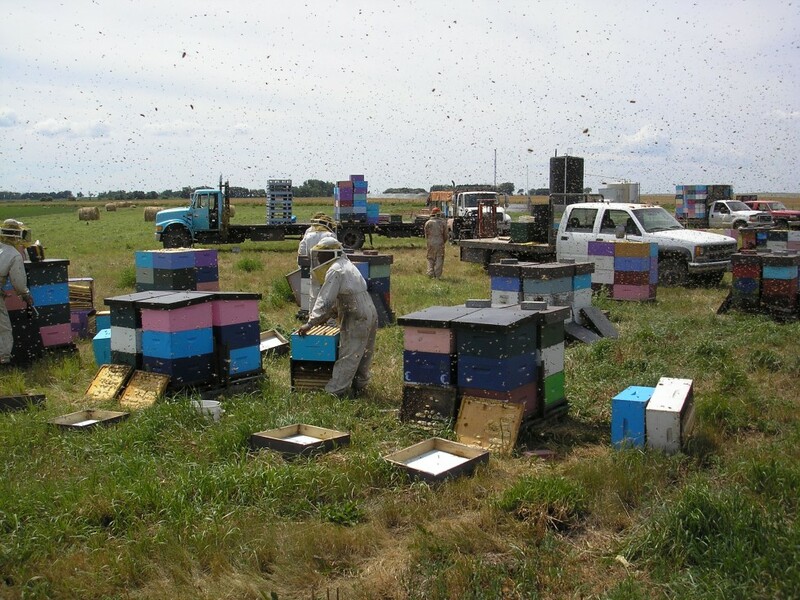 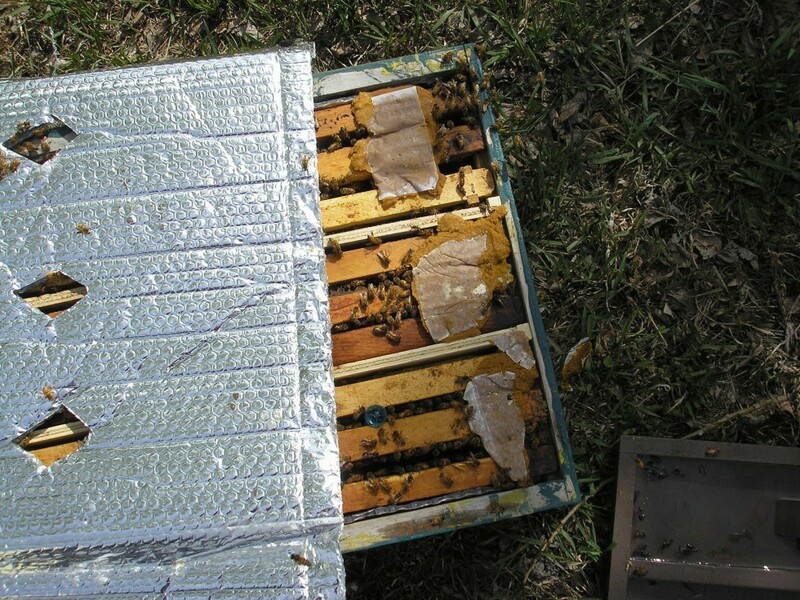 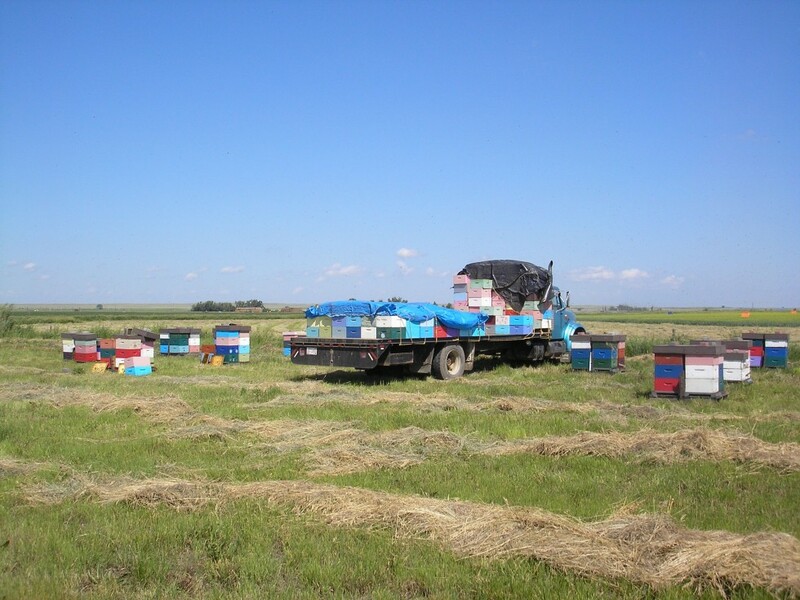 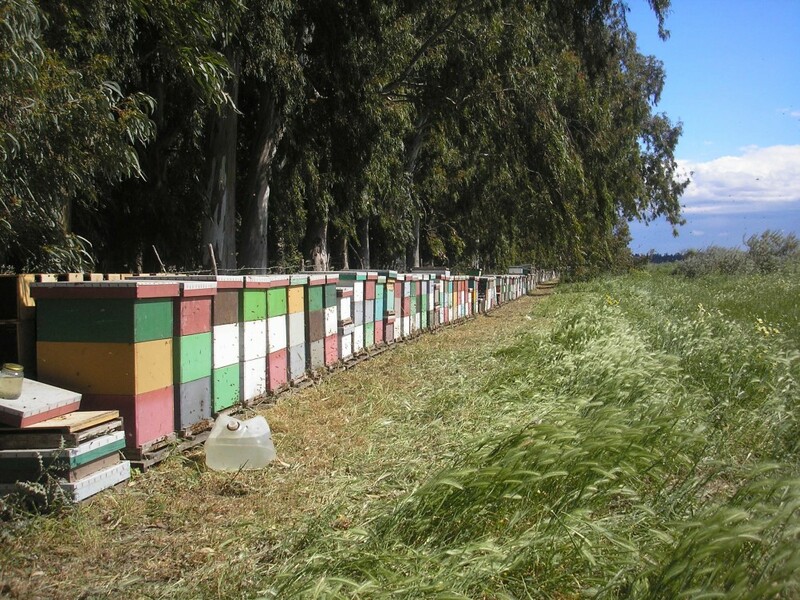 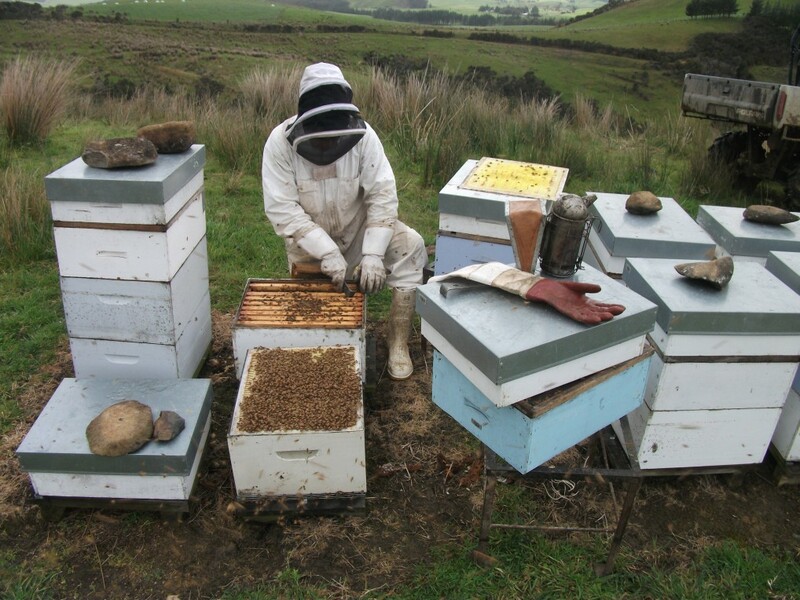 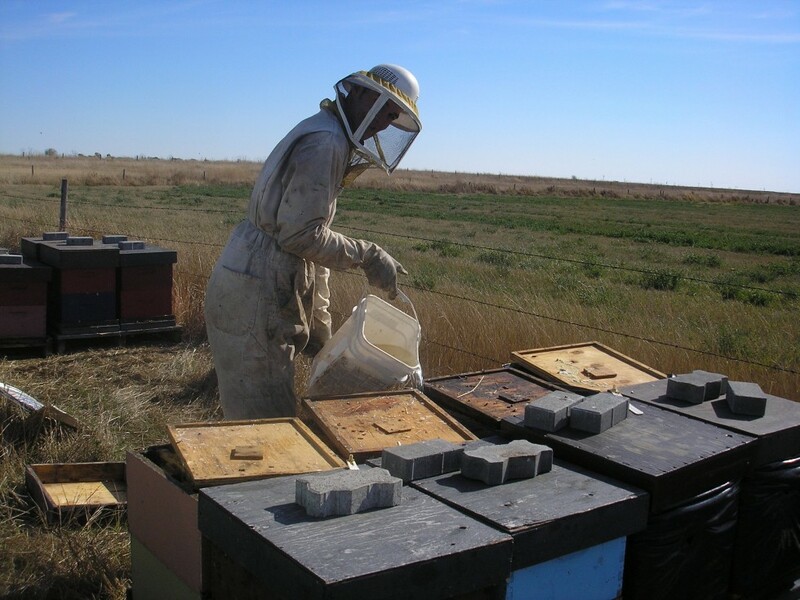 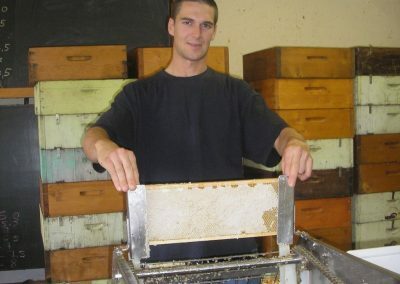 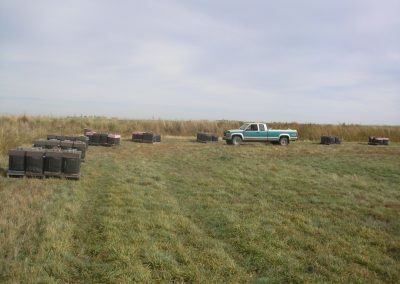 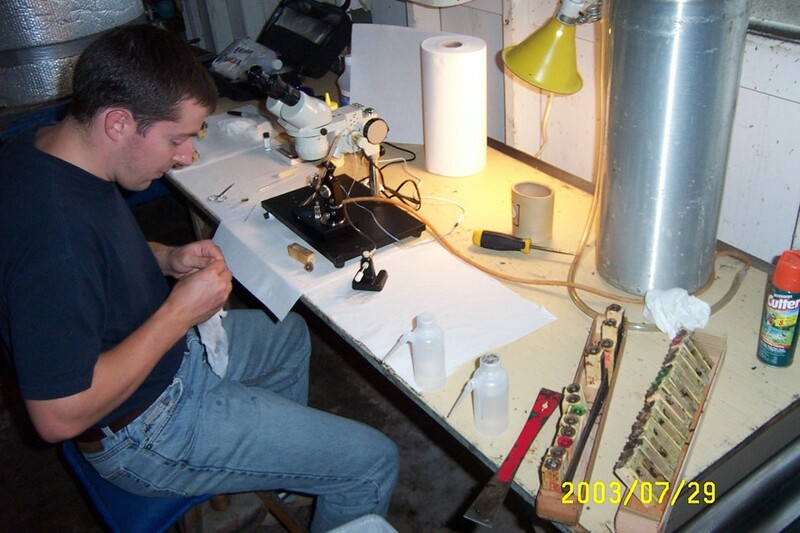 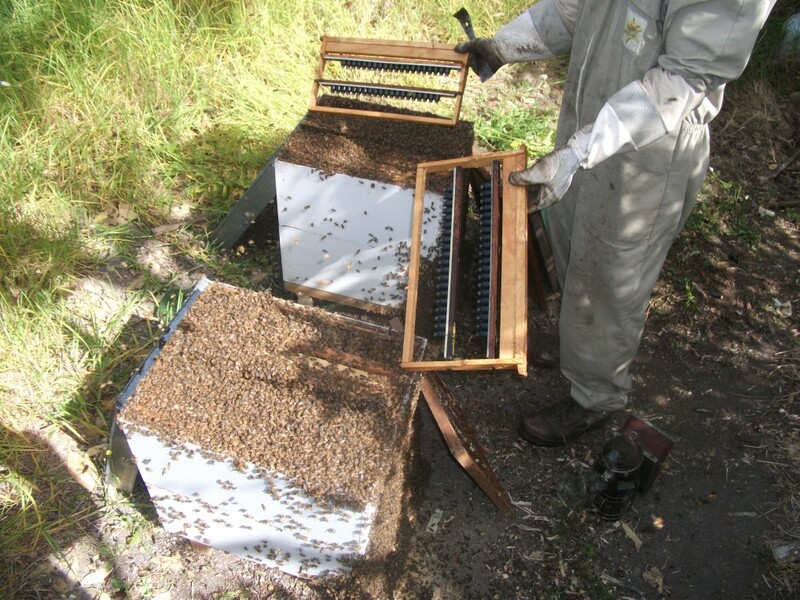 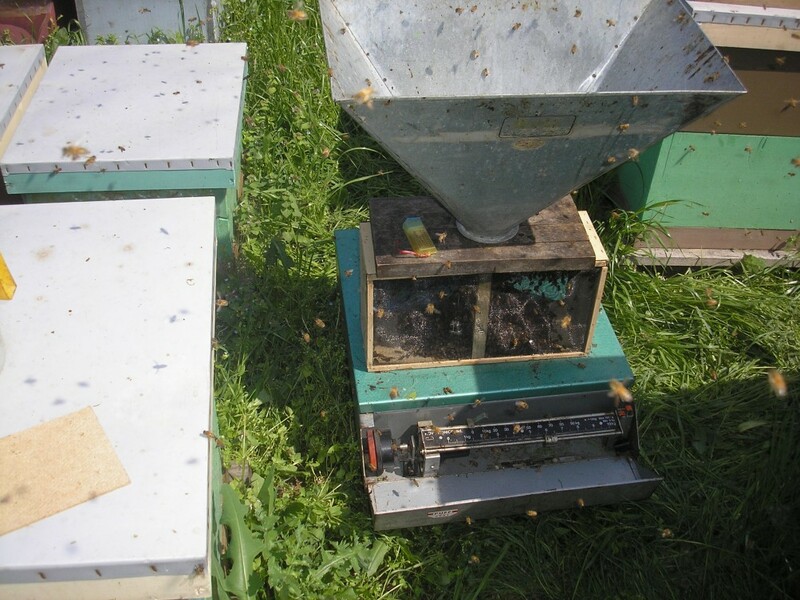 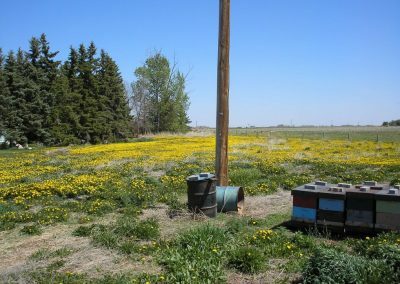 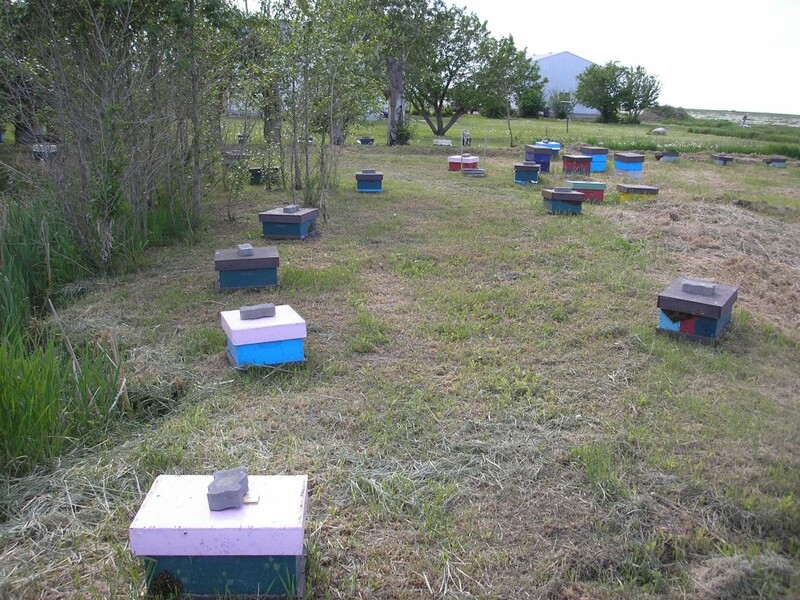 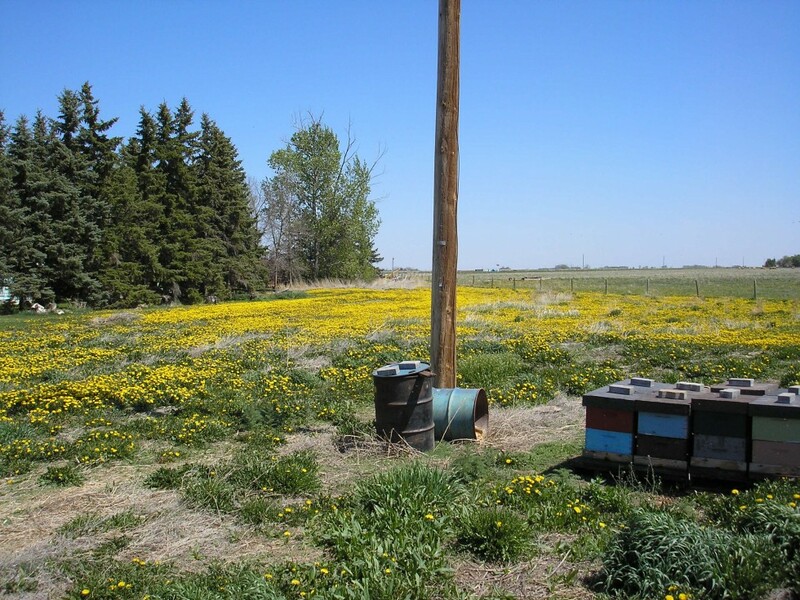 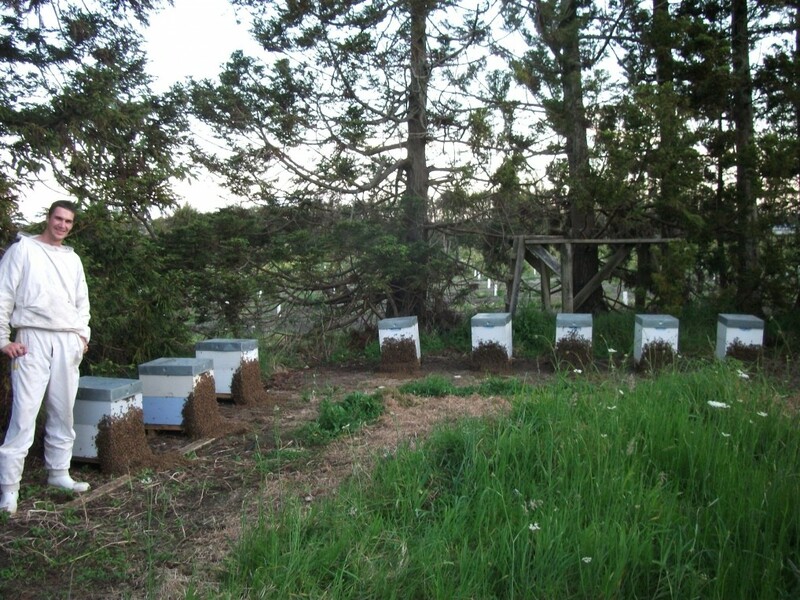 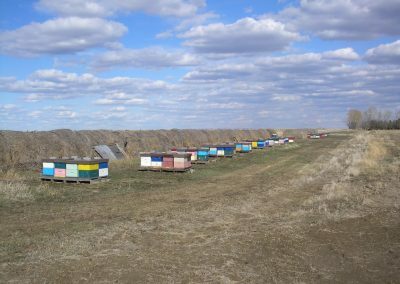 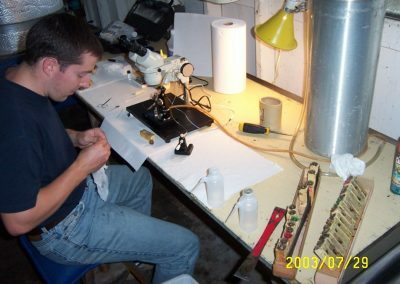 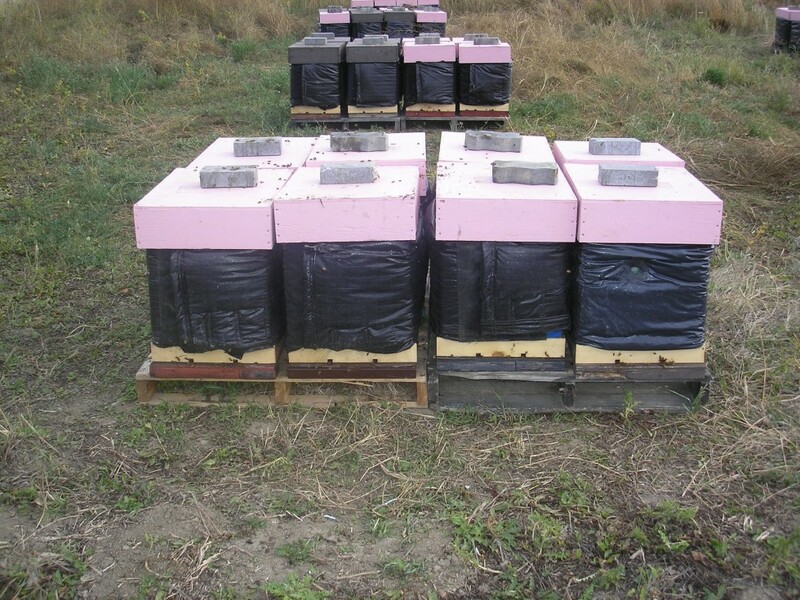 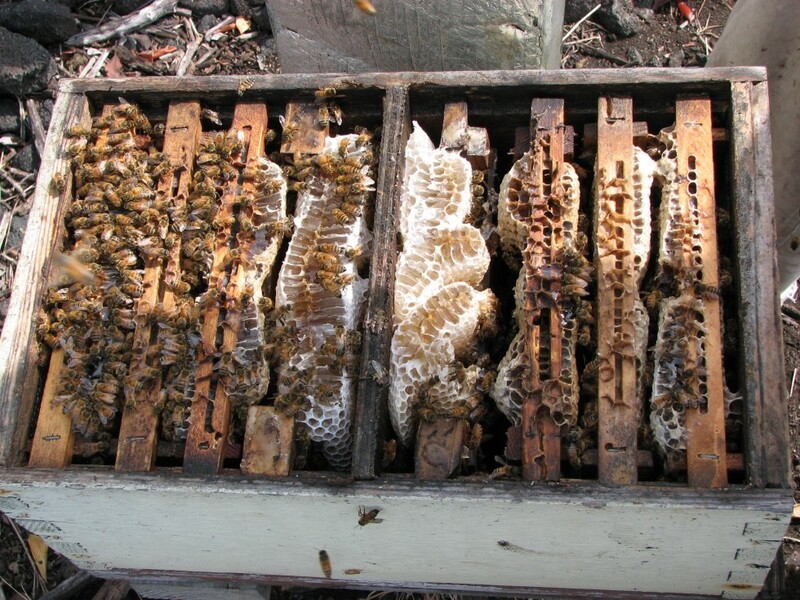 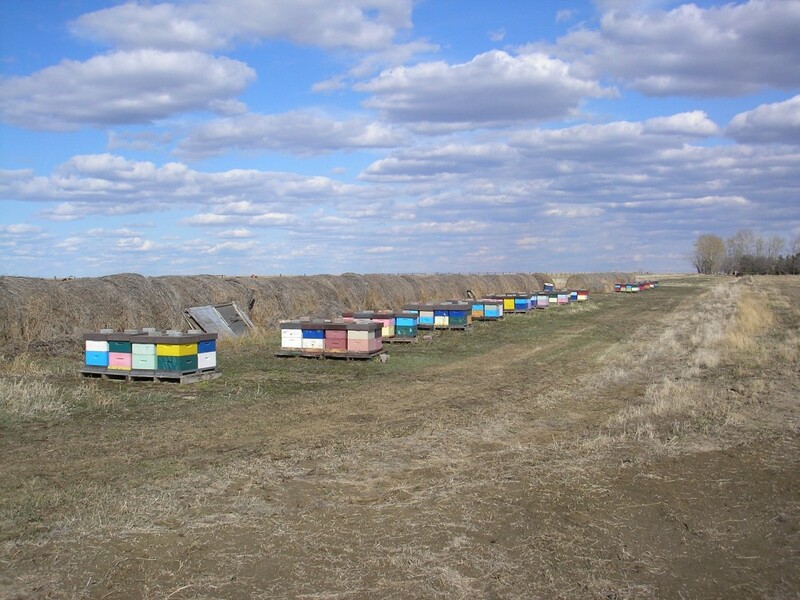 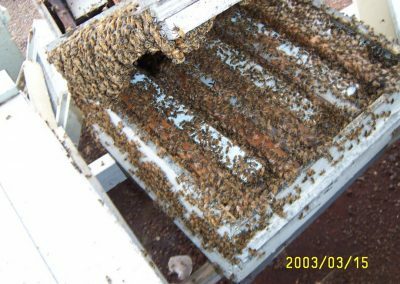 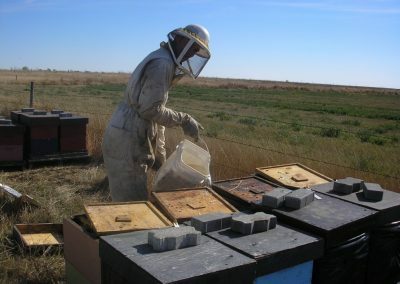 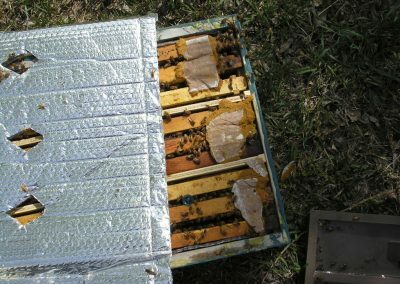 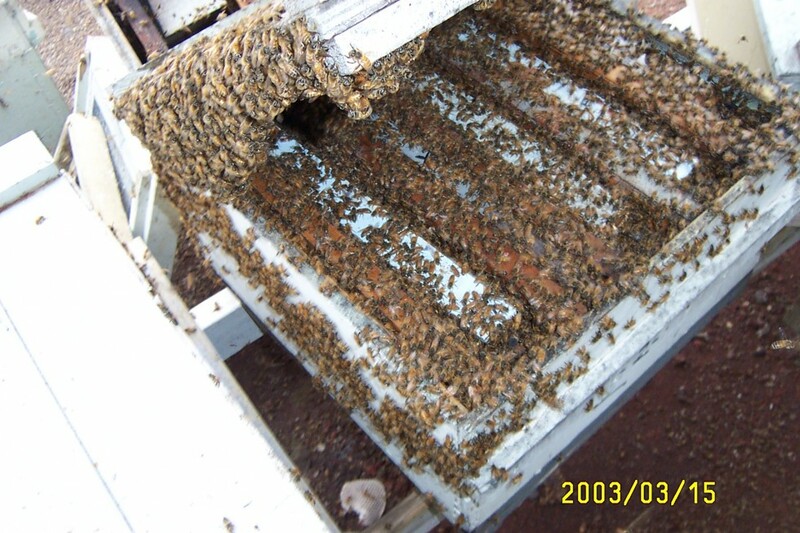 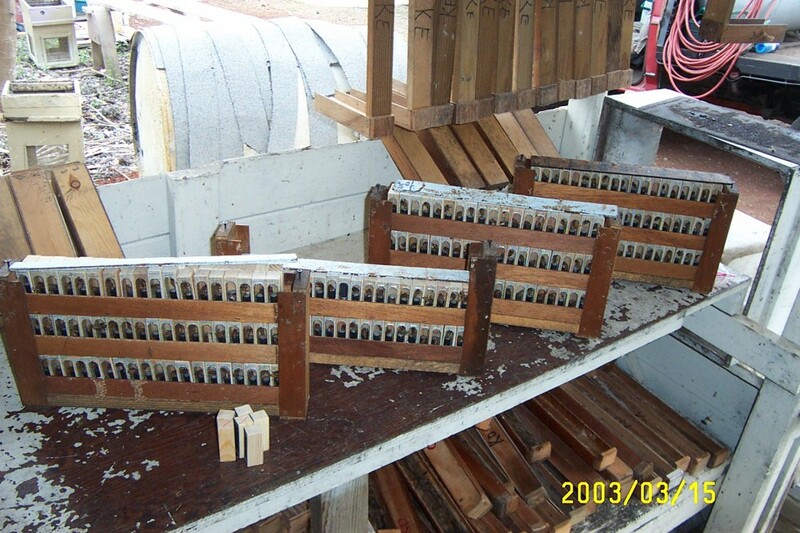 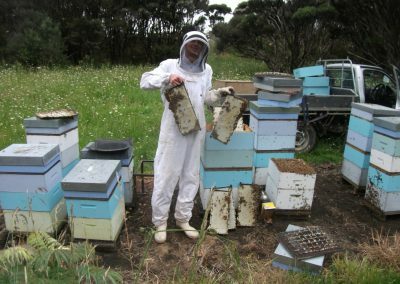 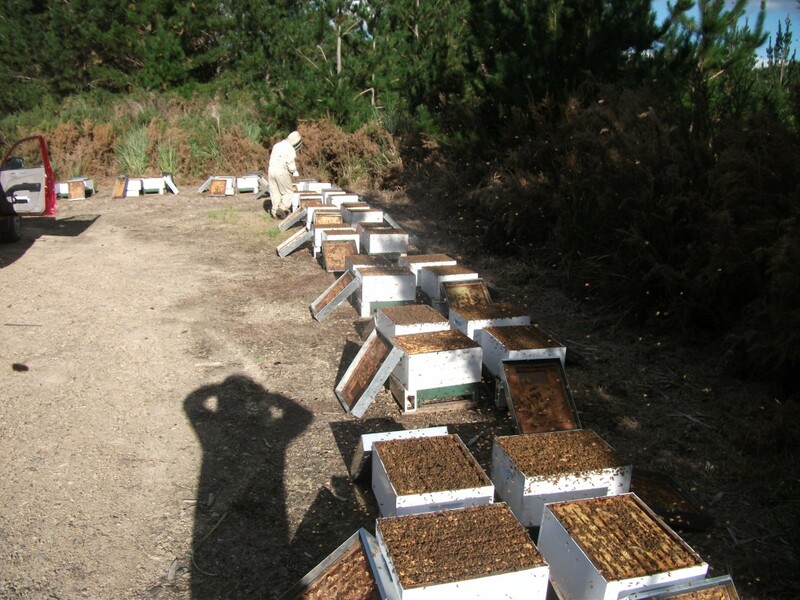 My duties involved spring colony management for hybrid canola seed polination, honey production and queen rearing. 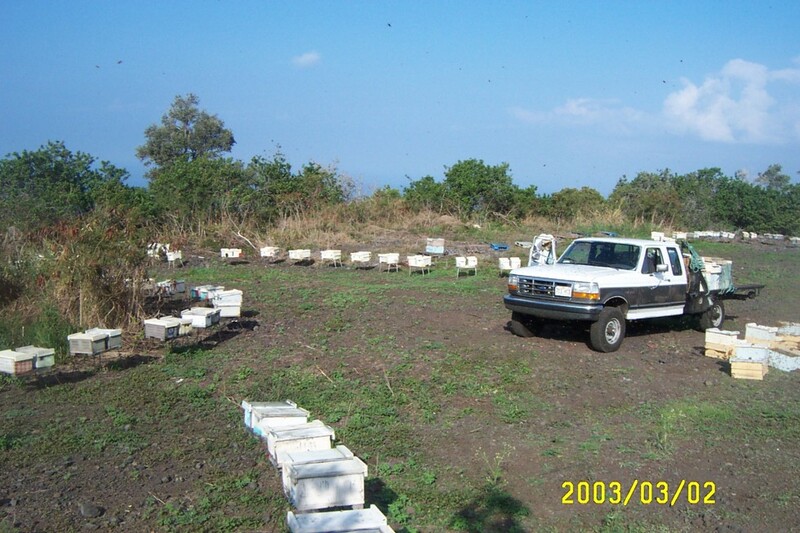 I returned to my previous job, where I got more responsibility. 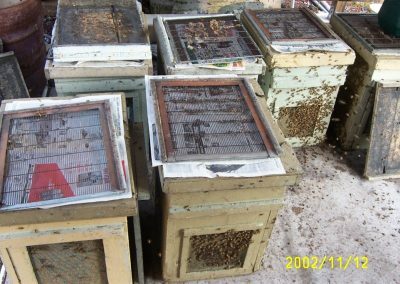 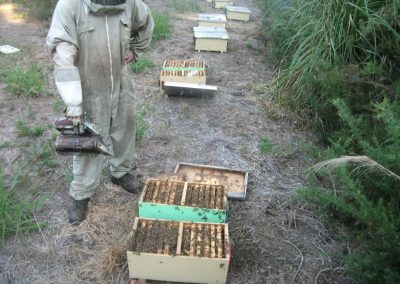 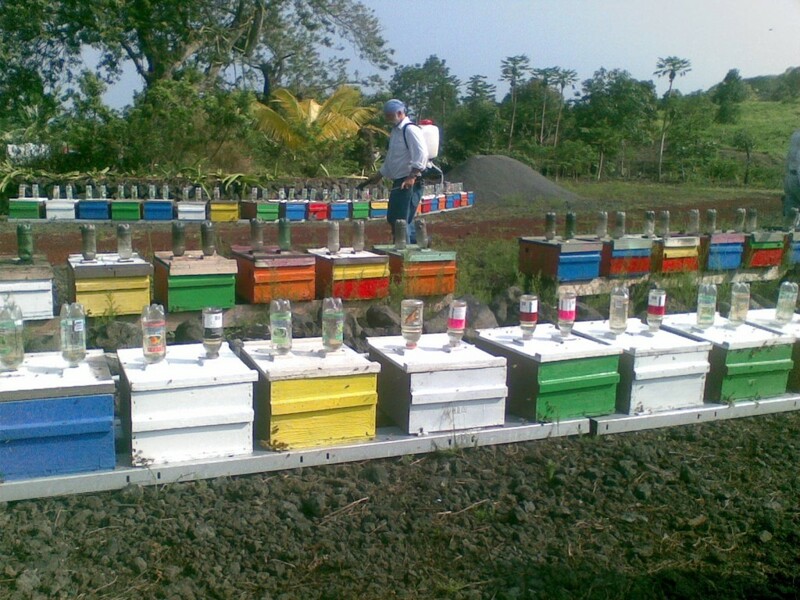 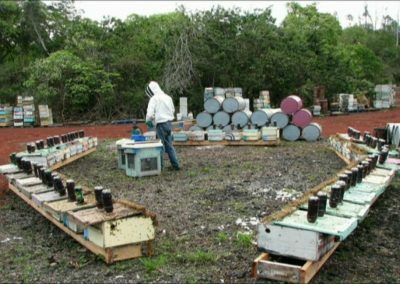 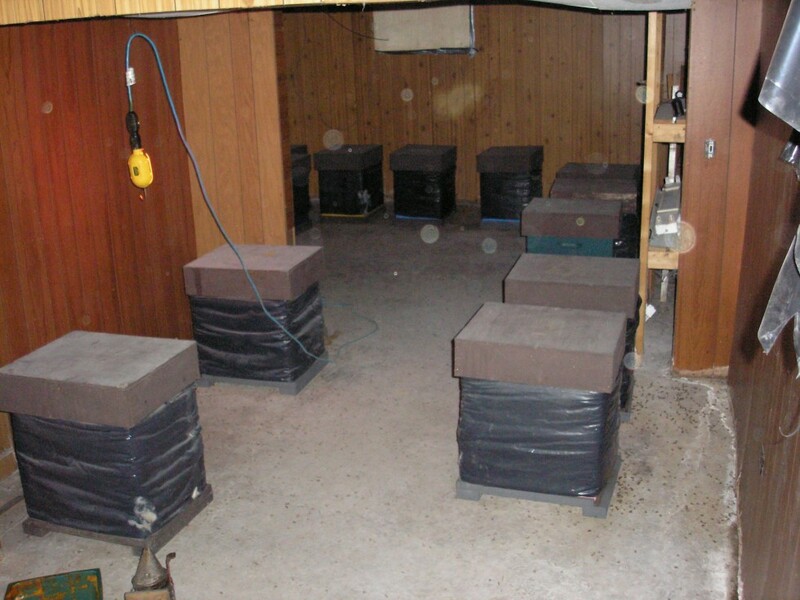 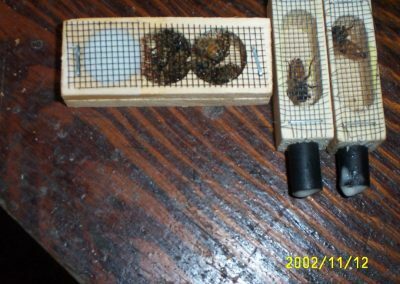 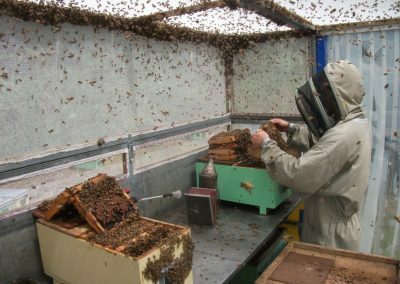 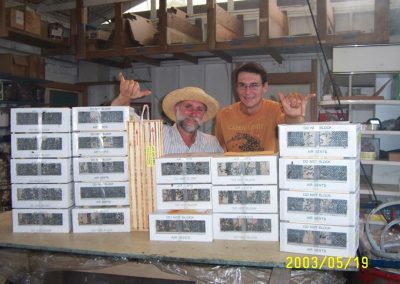 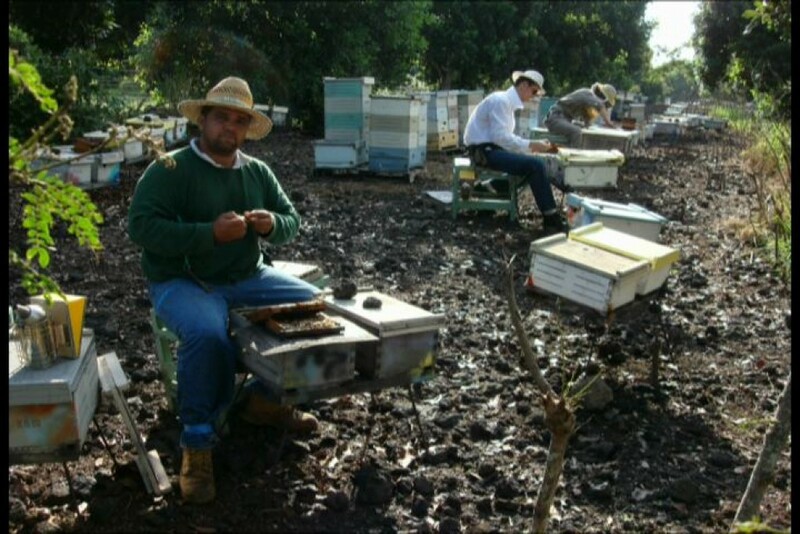 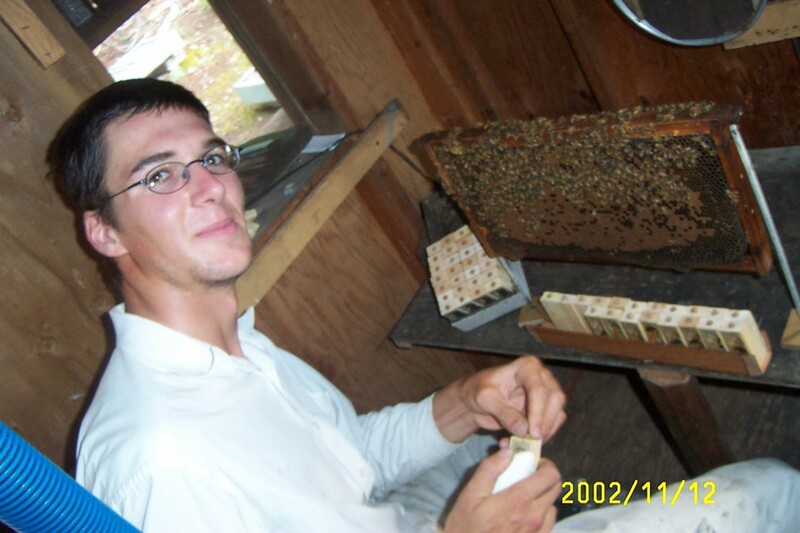 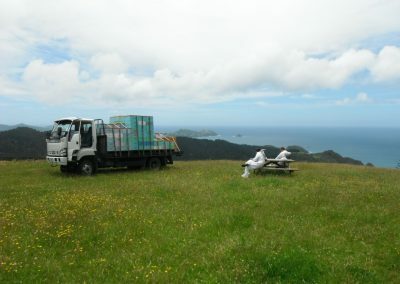 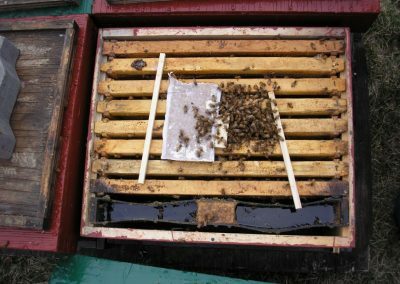 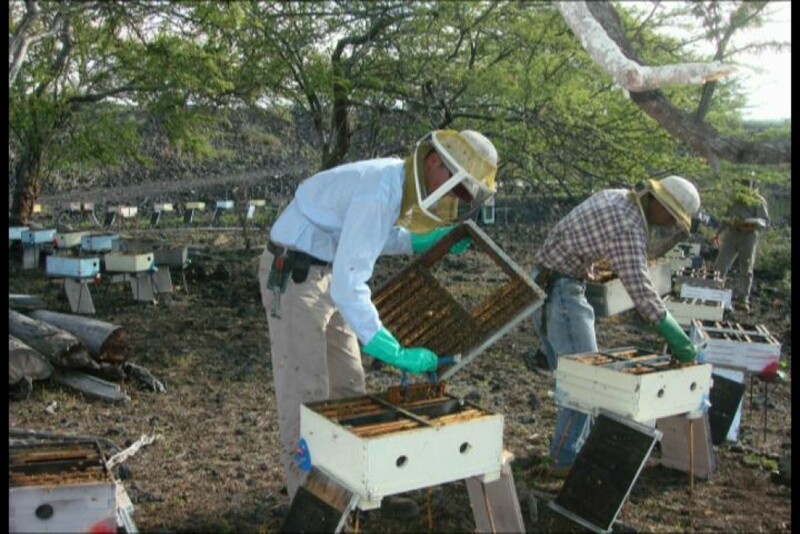 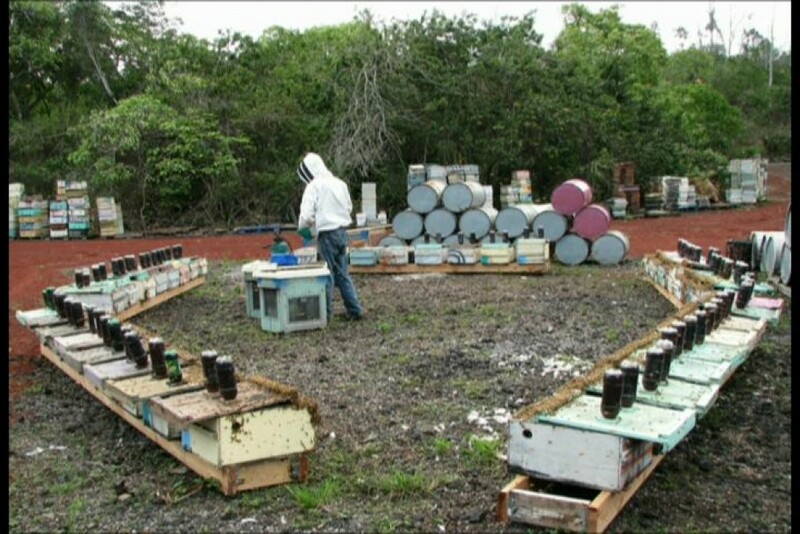 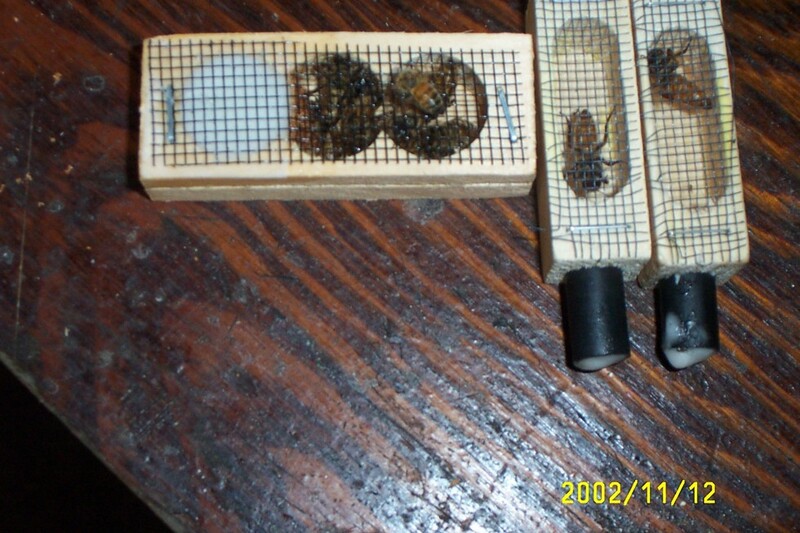 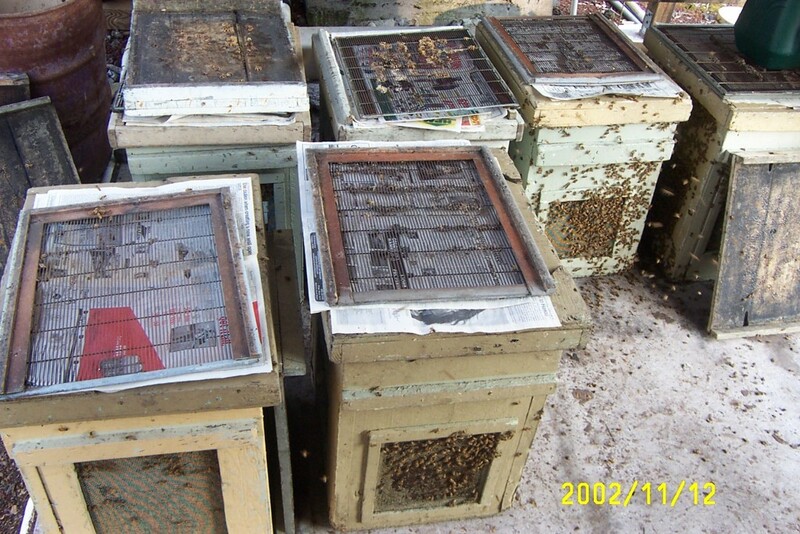 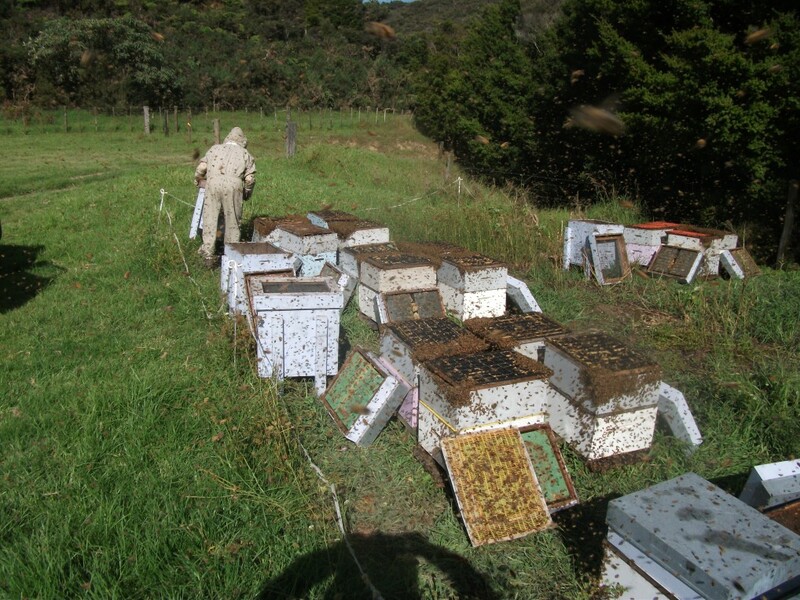 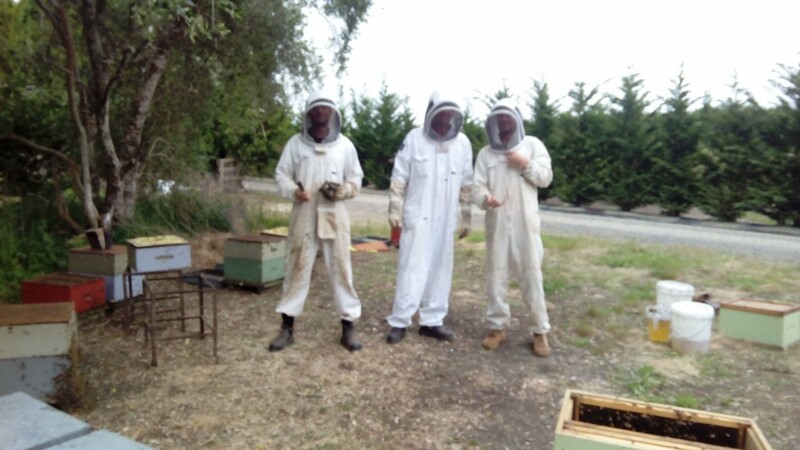 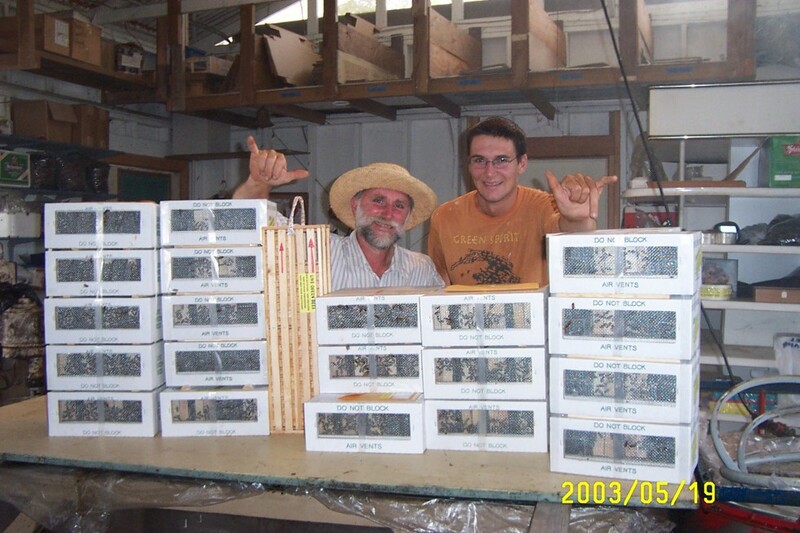 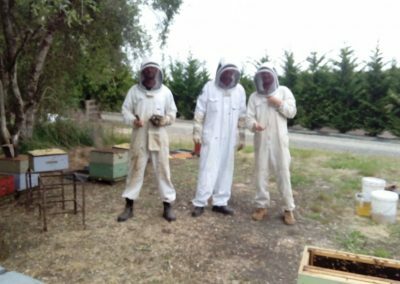 I was teaching new trainees arrived here from all over the world how to do commerical queen bee rearing. 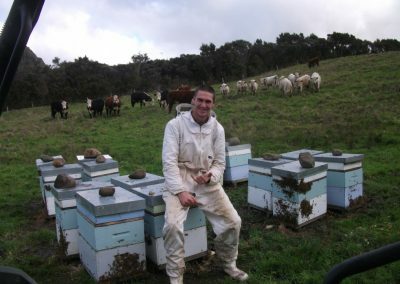 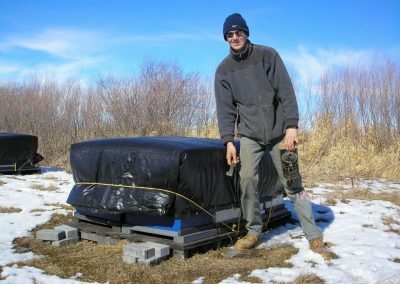 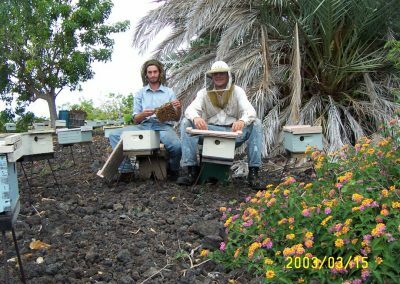 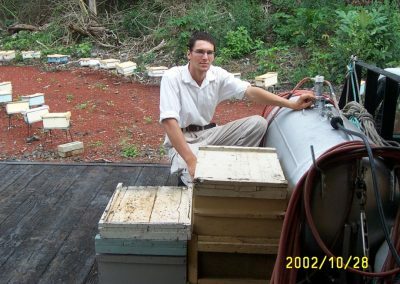 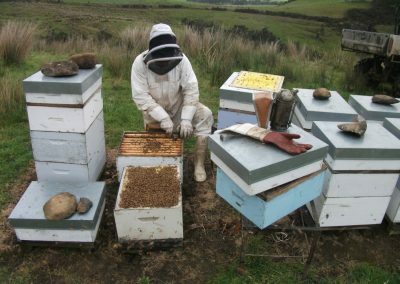 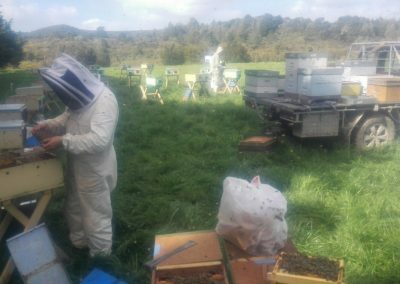 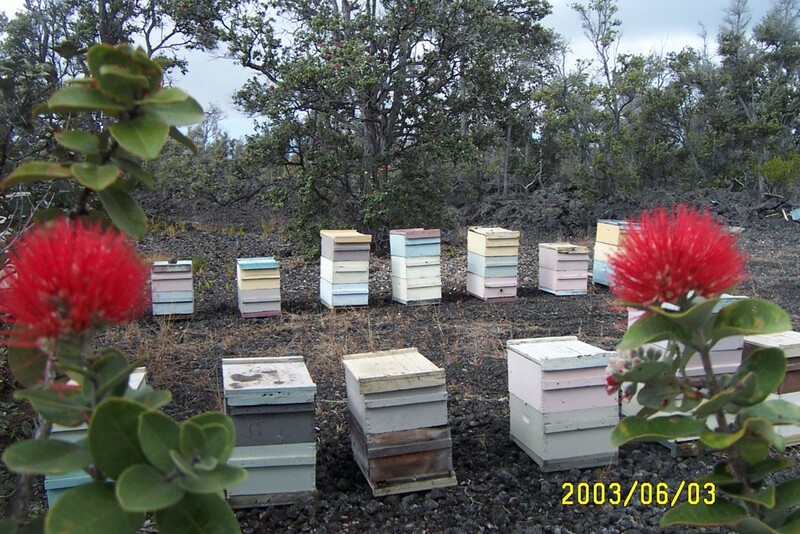 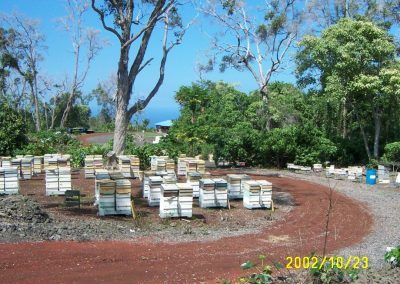 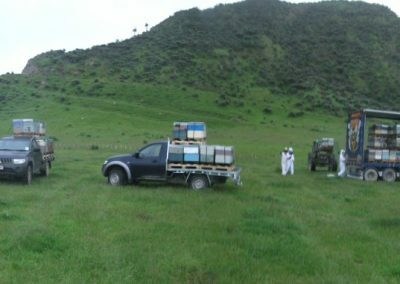 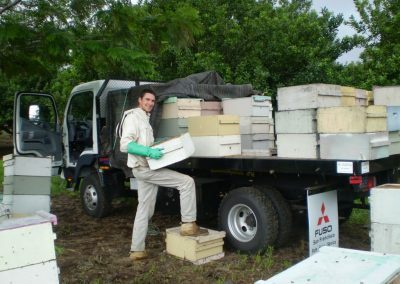 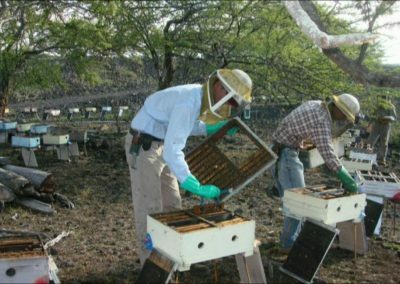 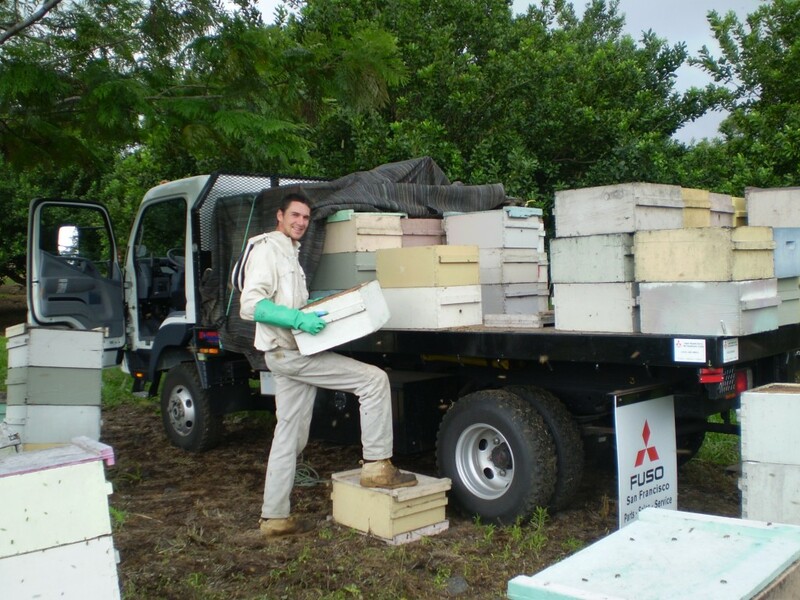 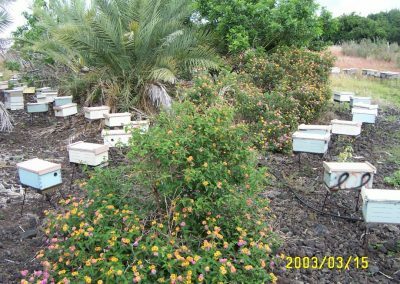 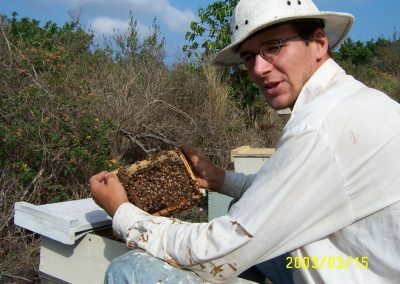 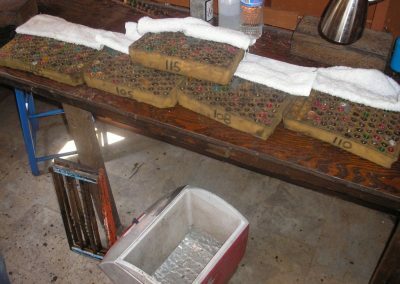 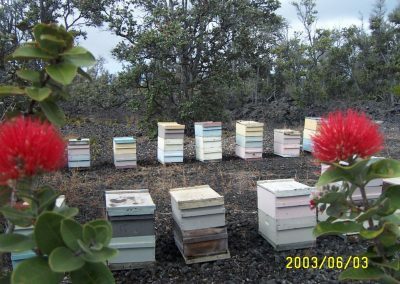 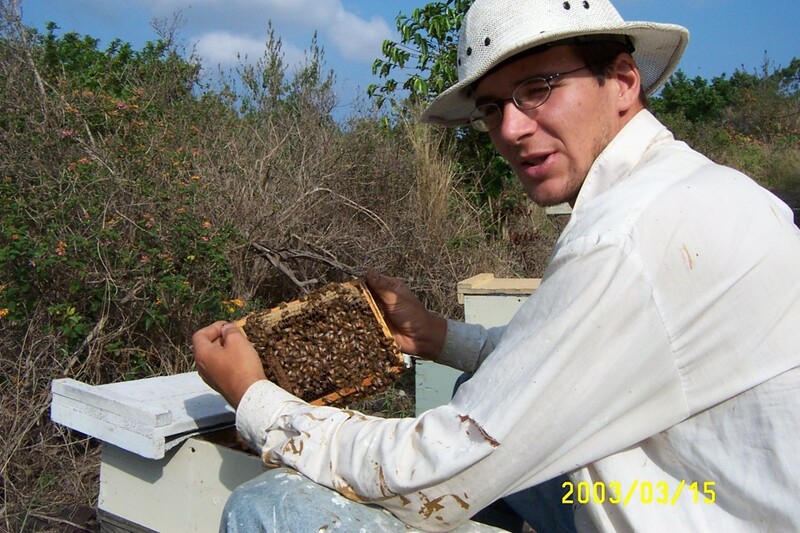 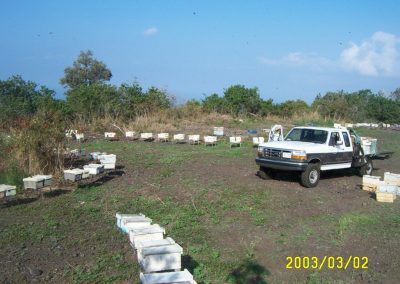 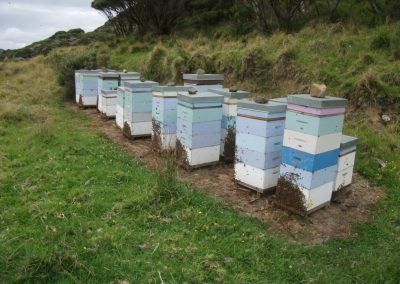 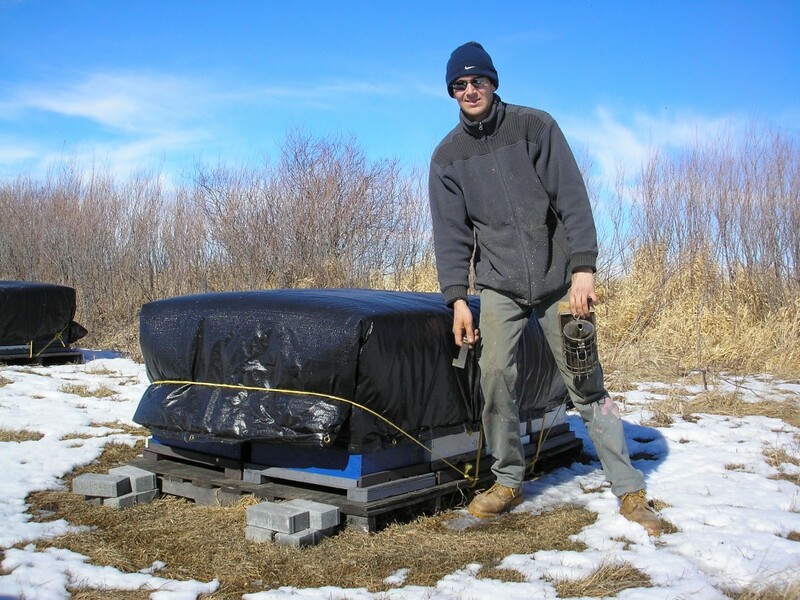 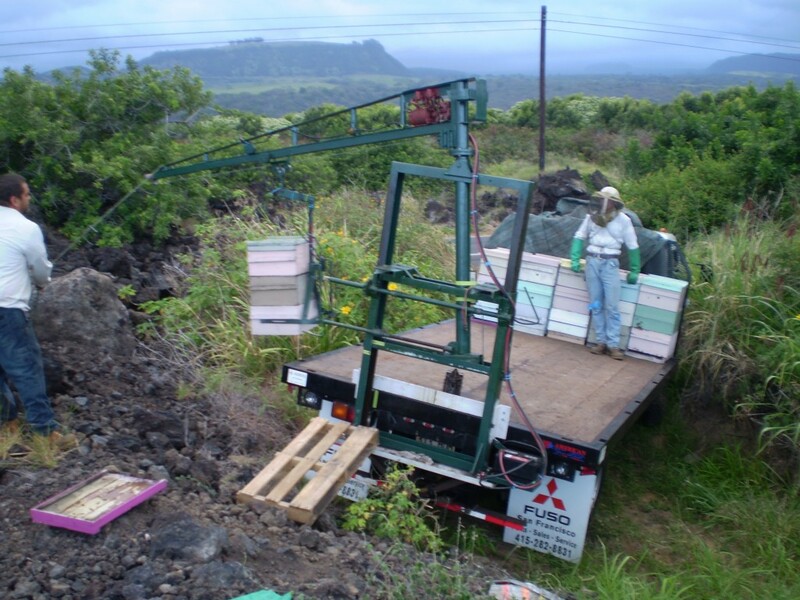 In the last year my duties were: coach of trainees, supervising them, and managing 10 mating nuc stations with 600 nucs each. 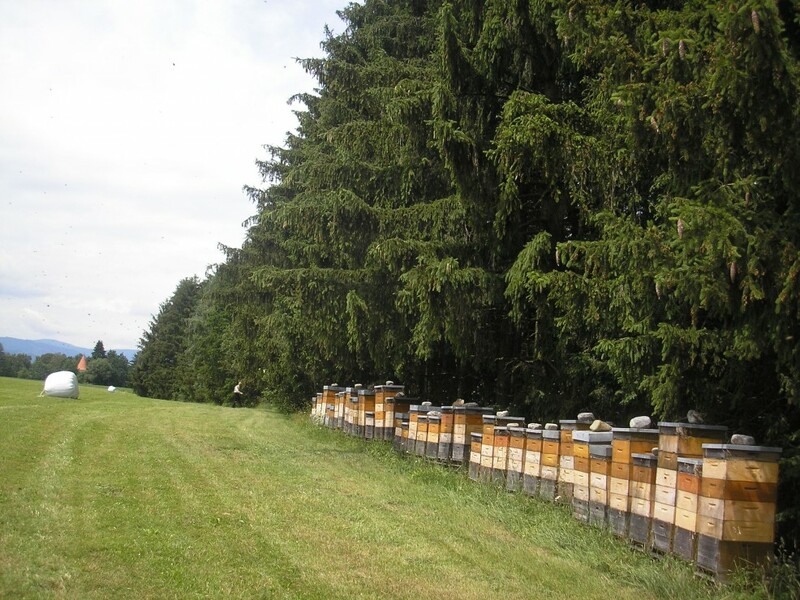 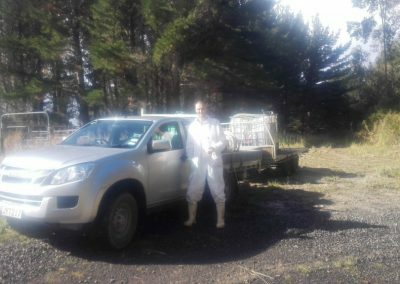 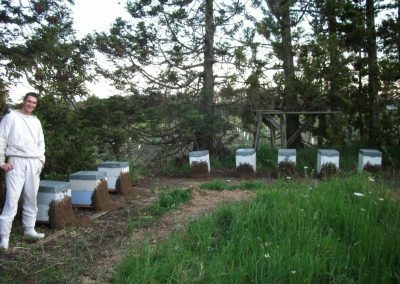 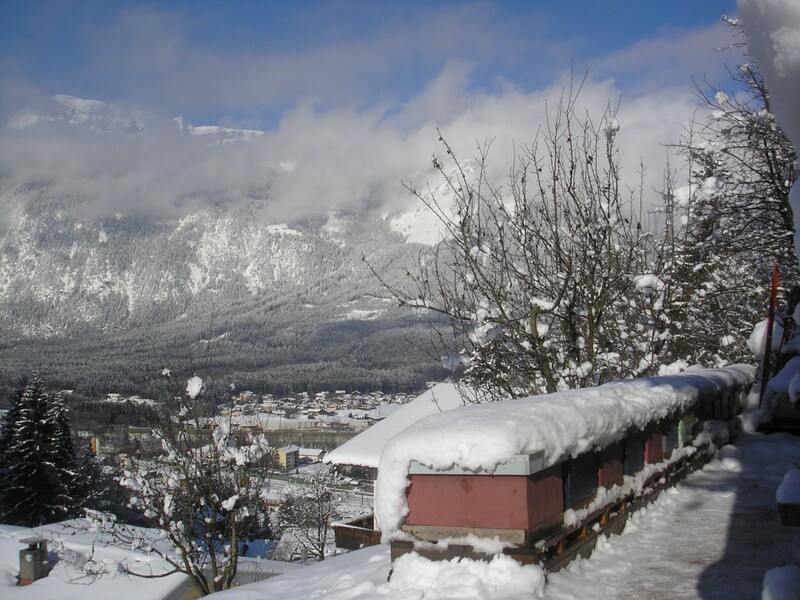 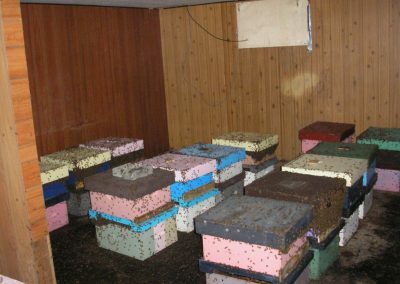 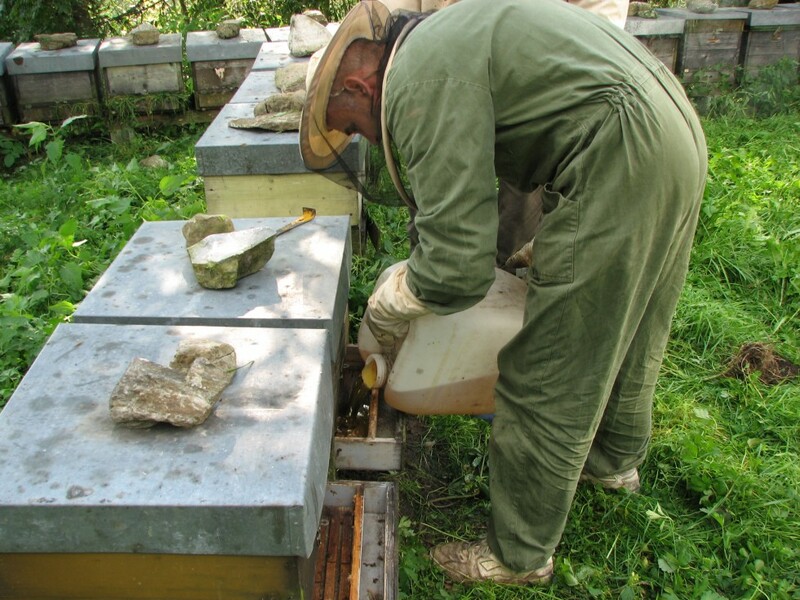 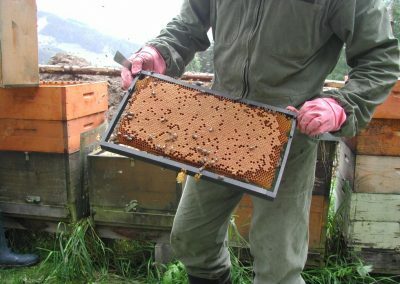 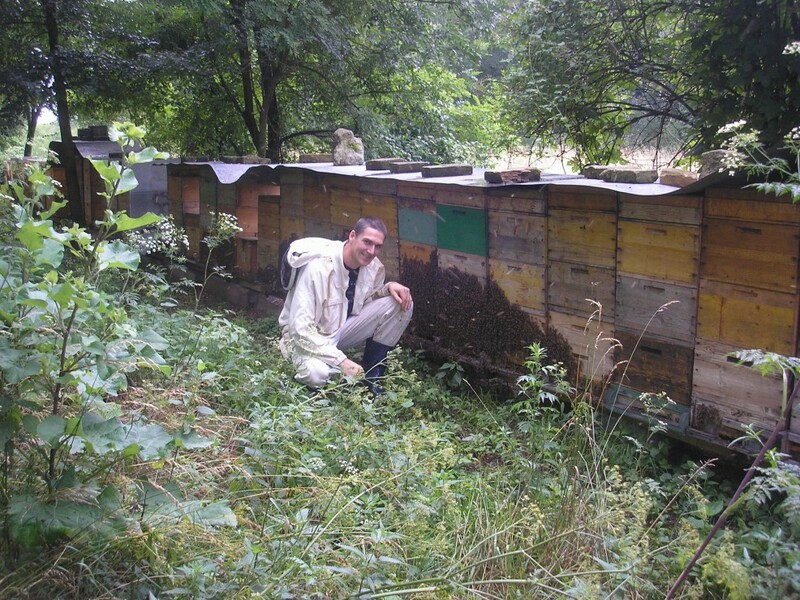 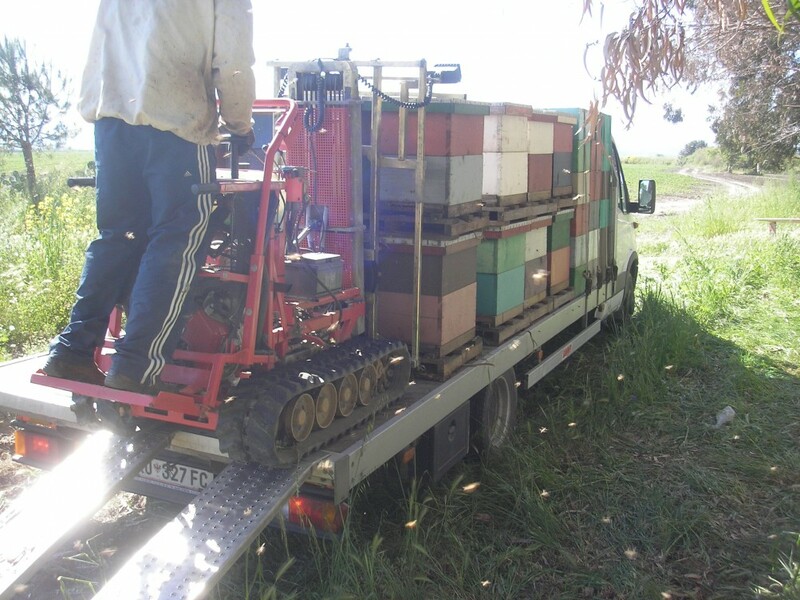 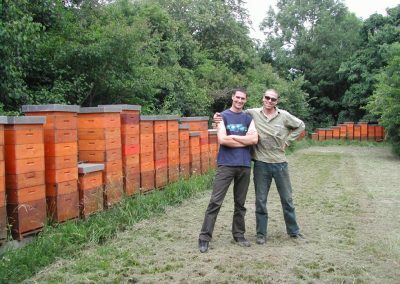 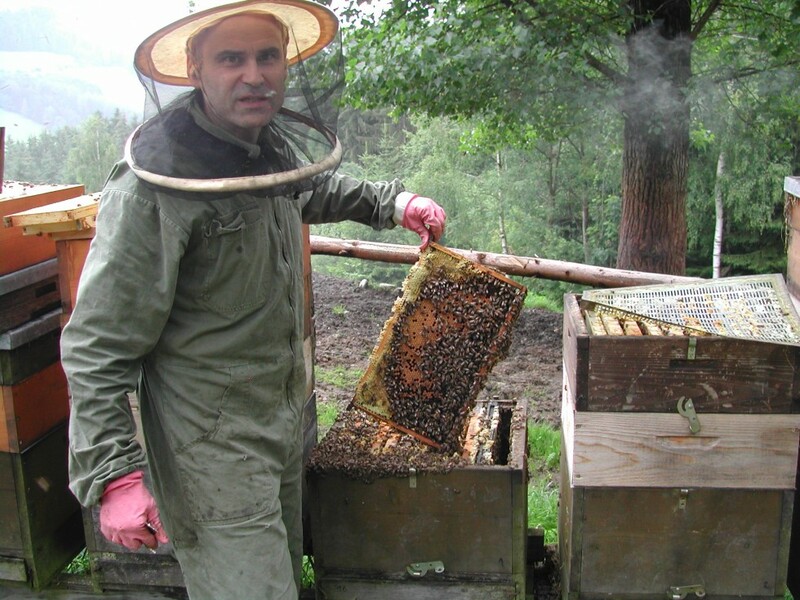 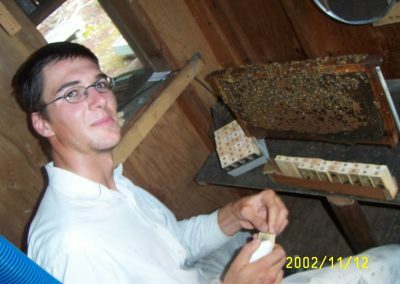 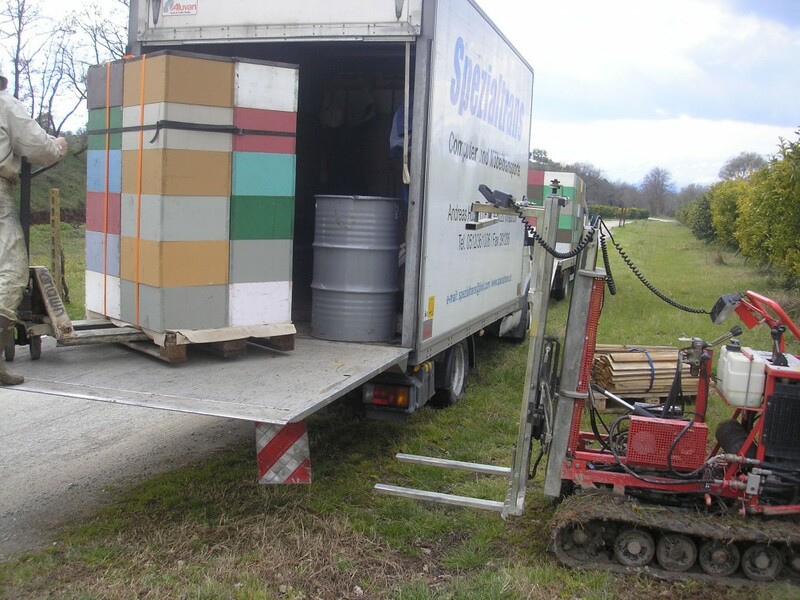 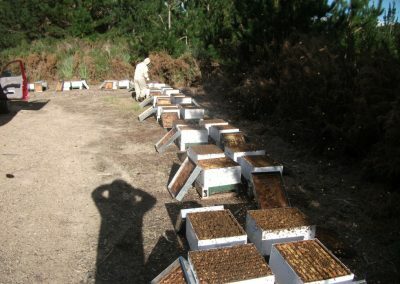 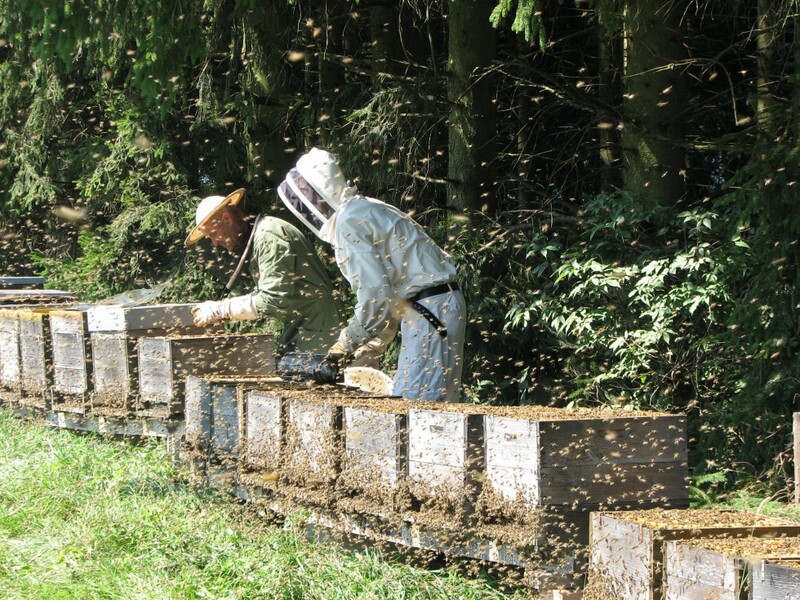 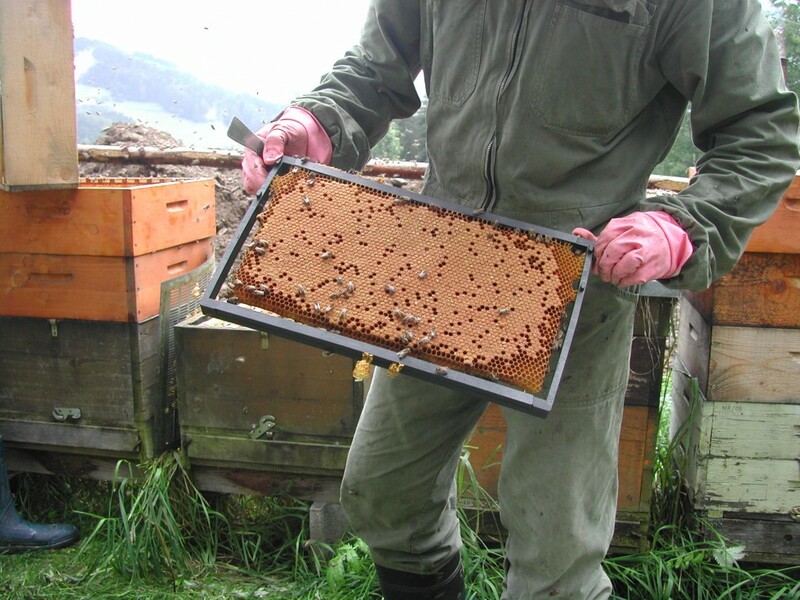 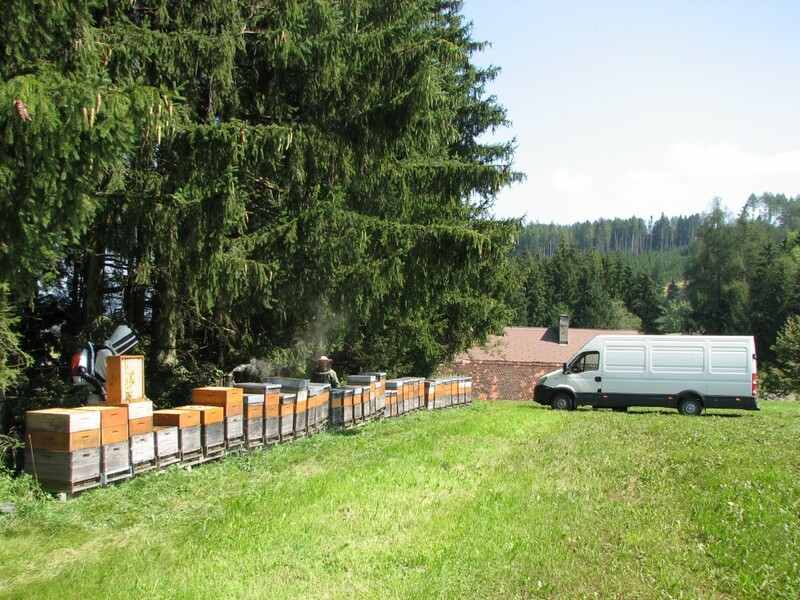 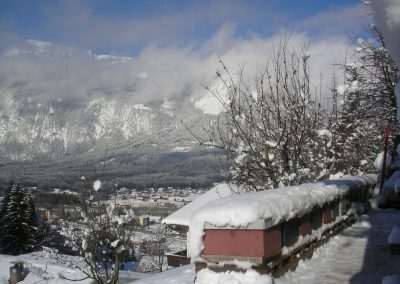 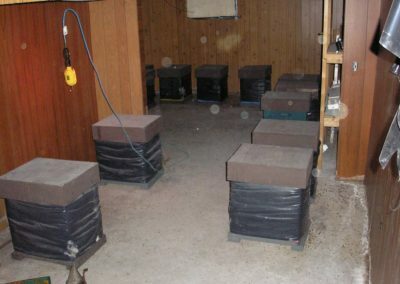 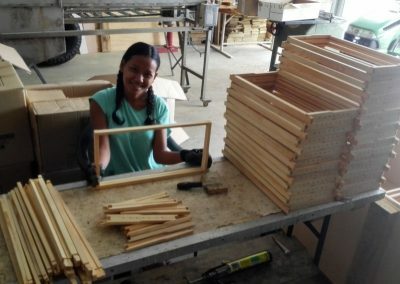 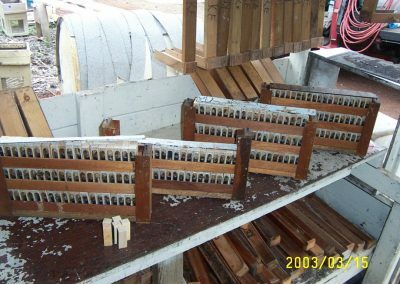 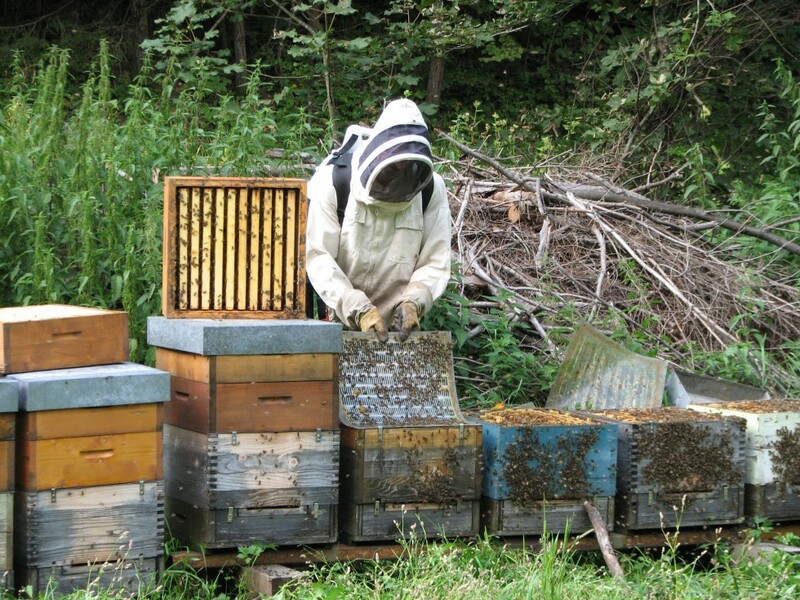 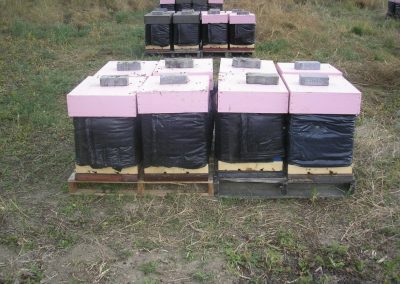 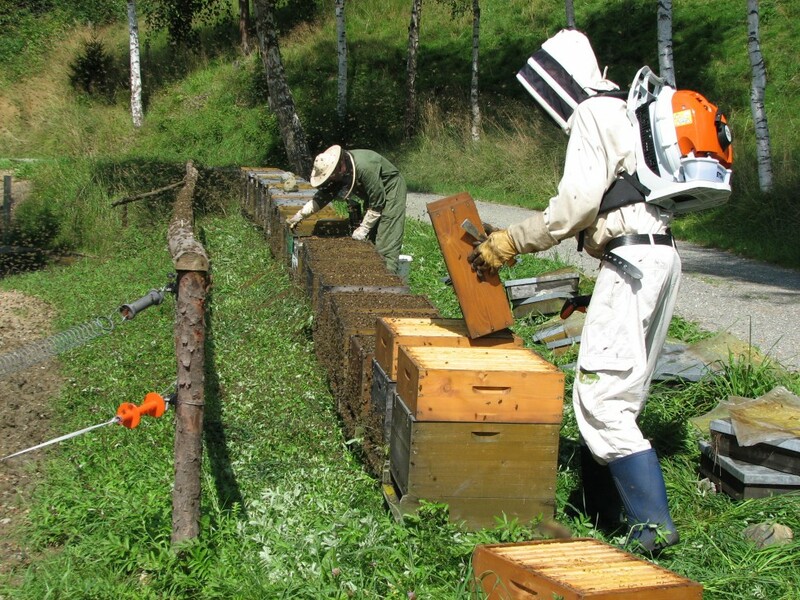 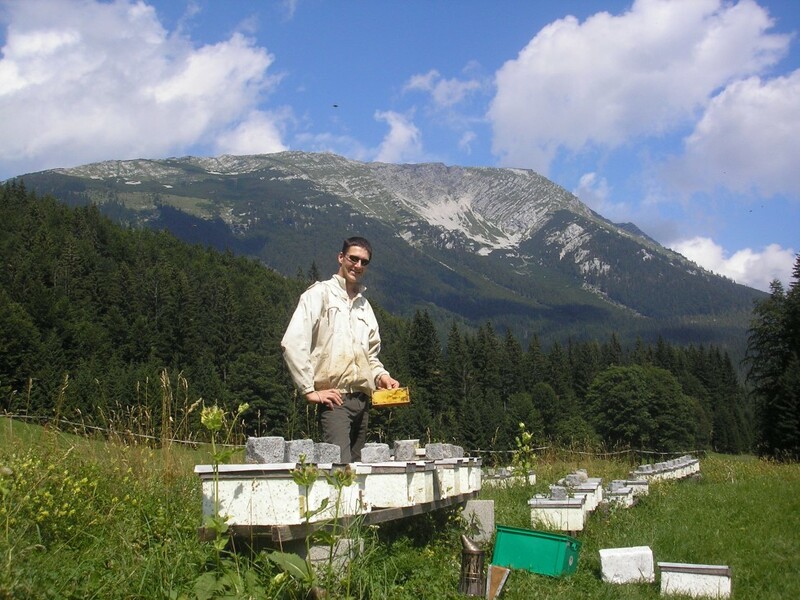 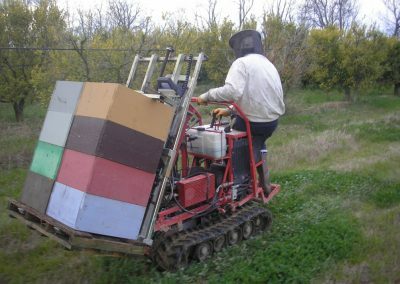 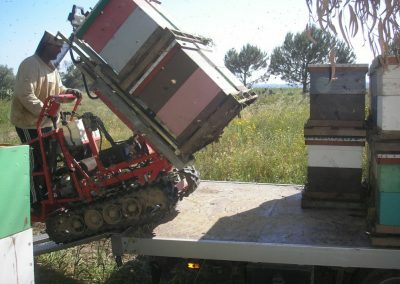 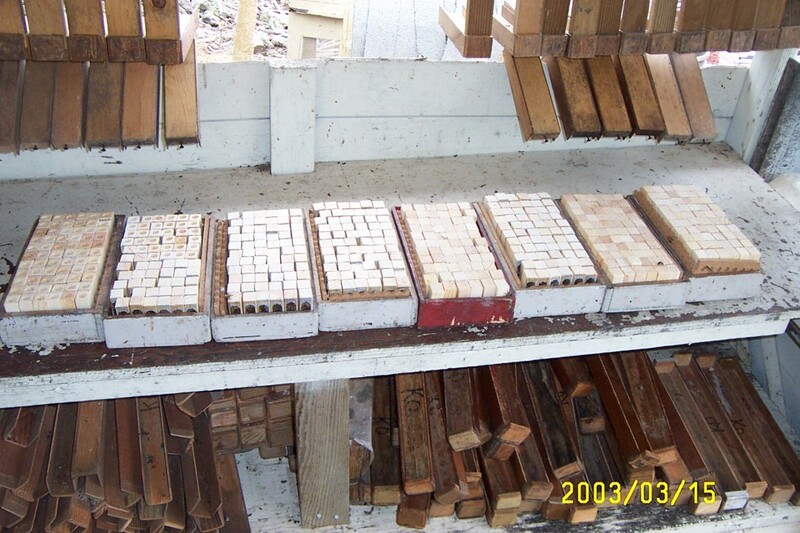 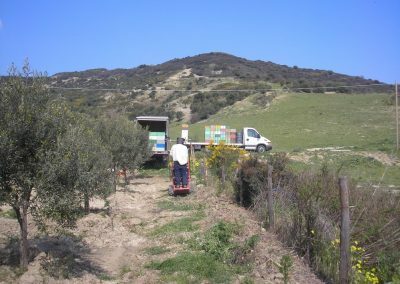 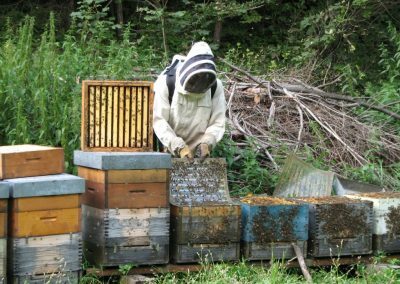 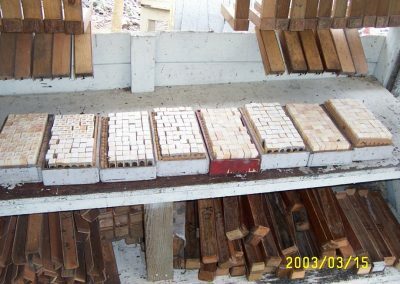 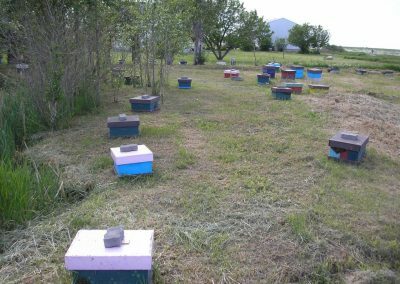 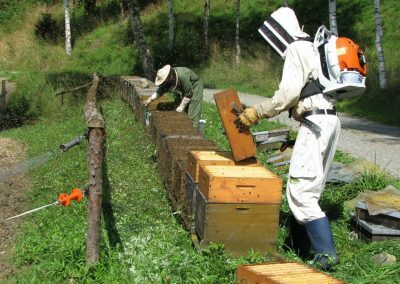 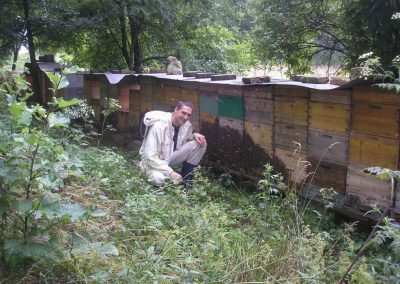 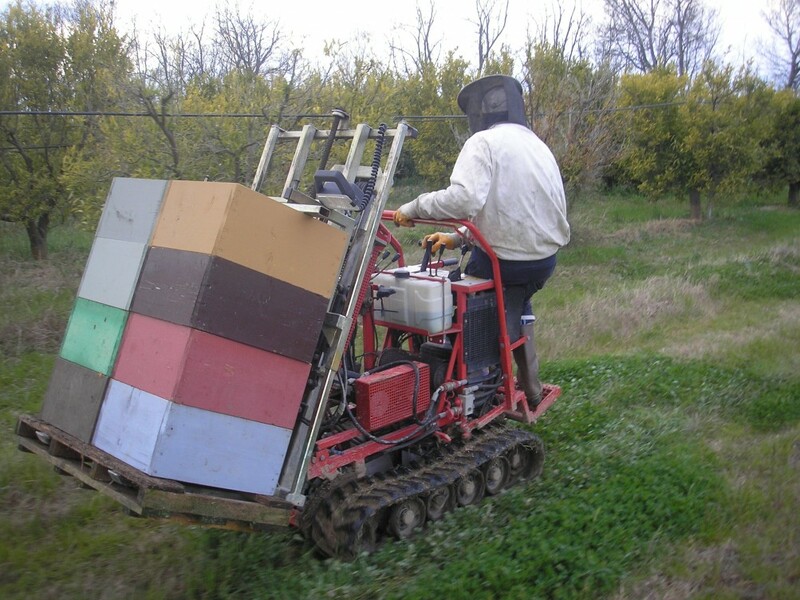 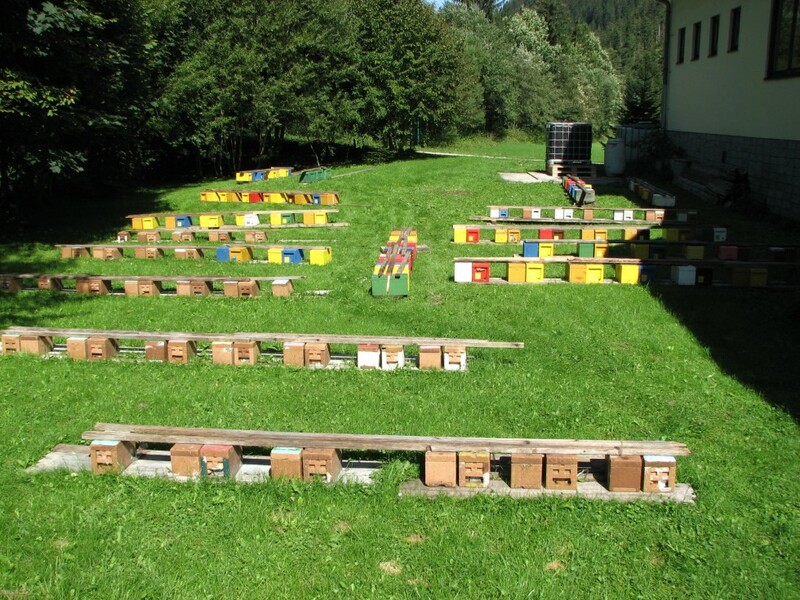 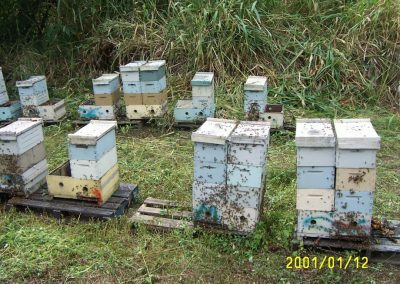 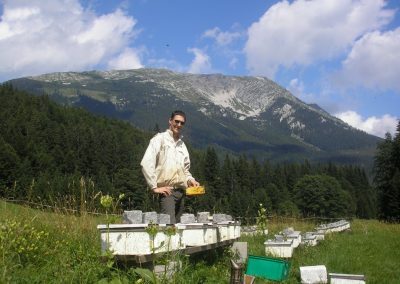 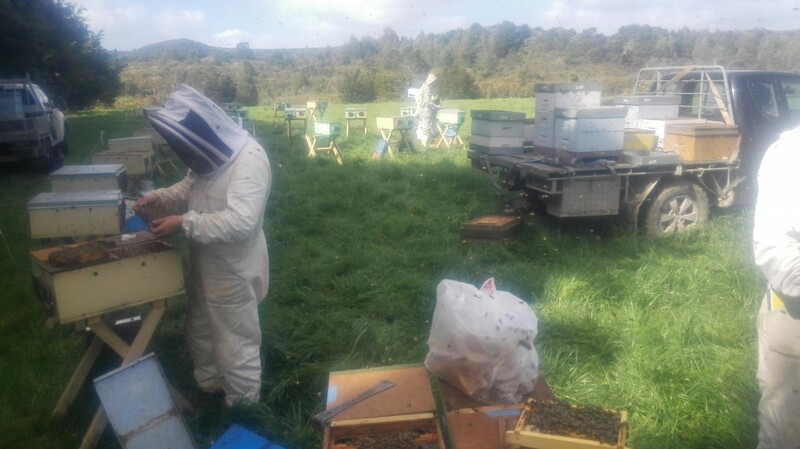 I worked in a well-organised and equiped great family owned austrian apiary (with 1500 colonies) in the first half of the season. 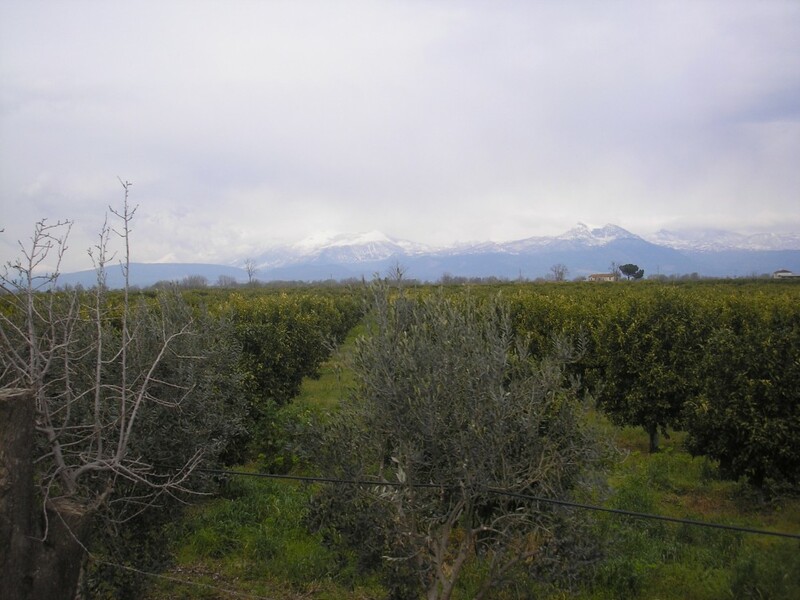 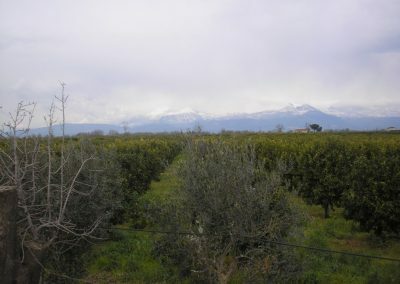 Majority of the colonies are located in Italy in Calabria province on orange- and on other citrus plantations and in eucalyptus forests. 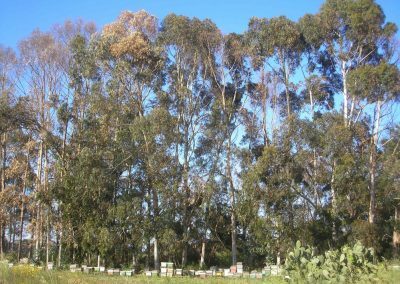 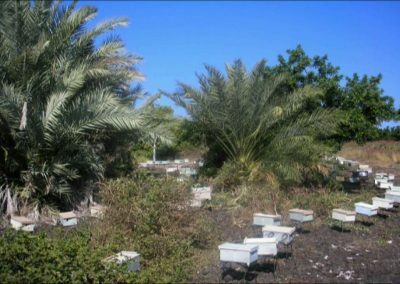 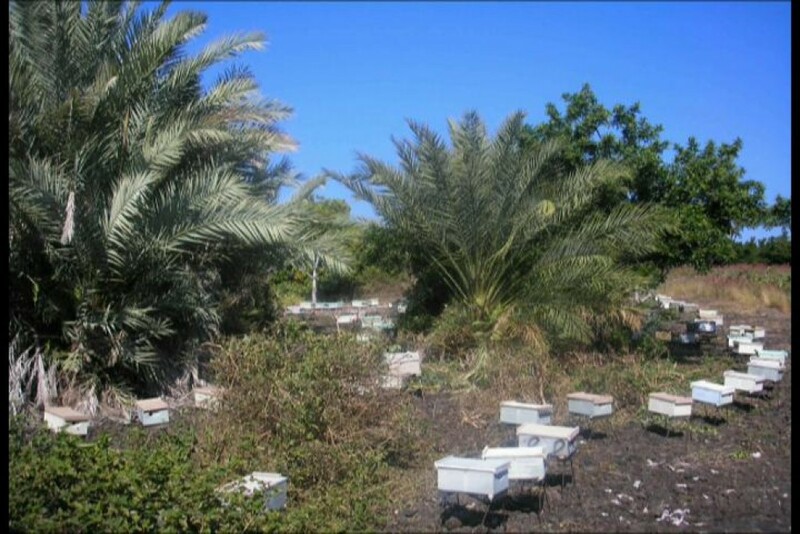 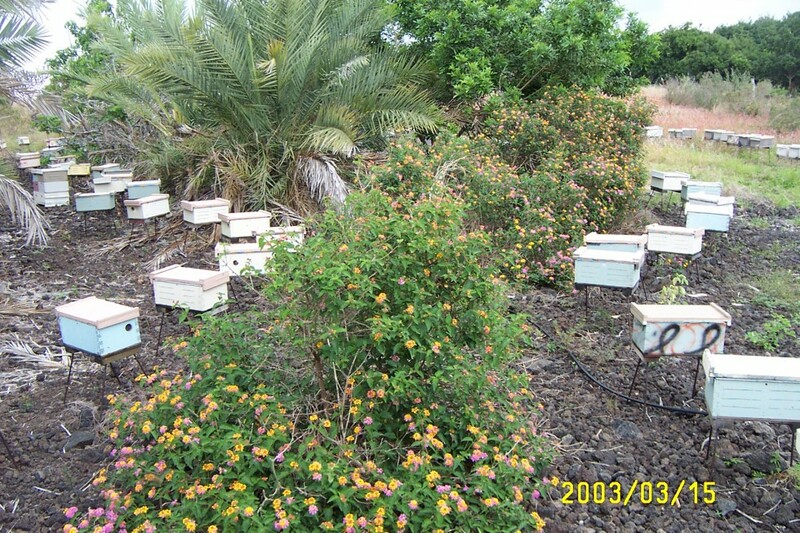 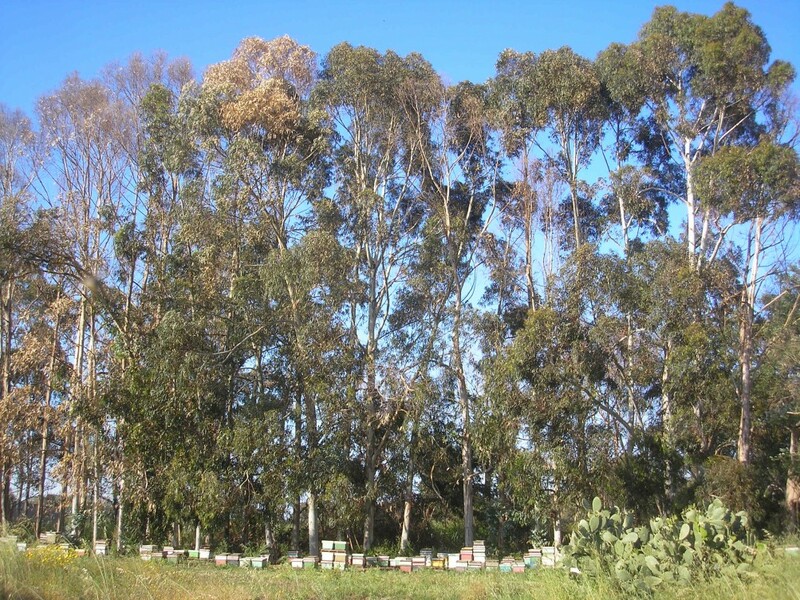 There are also some bee yards on acacia forests in Germany and in Austria as well. In the second half of the season I helped for Austrian Mag. 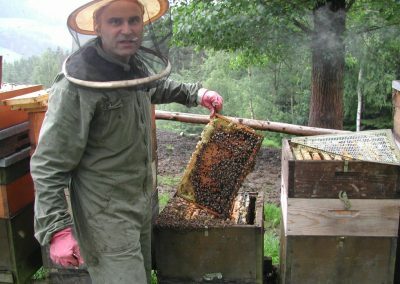 Harald Singer whom I learned the queen rearing method of this reputable beekeeper family. 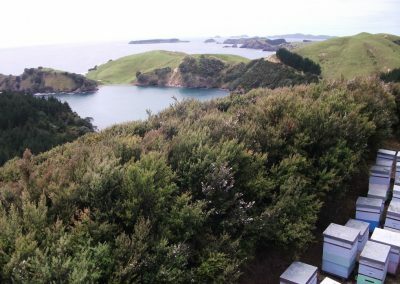 I spent every one half of the year (August to April) in New Zealand on the North Island in Northland province. 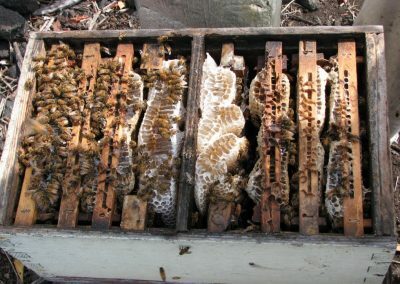 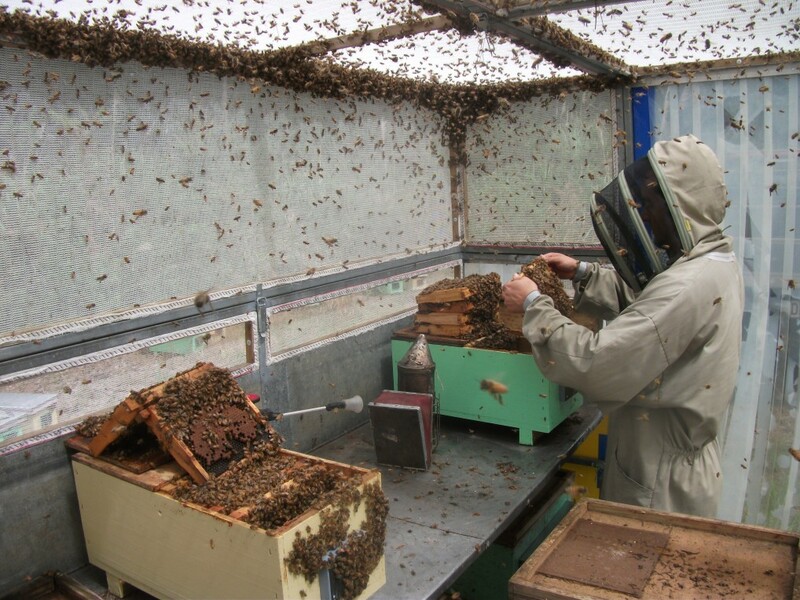 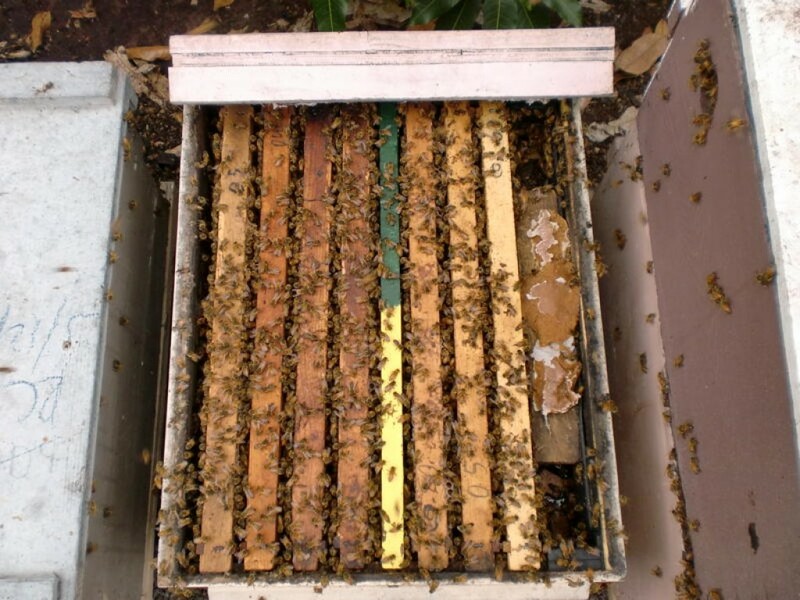 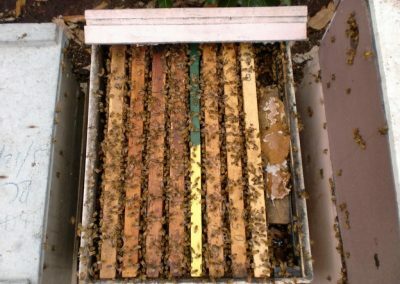 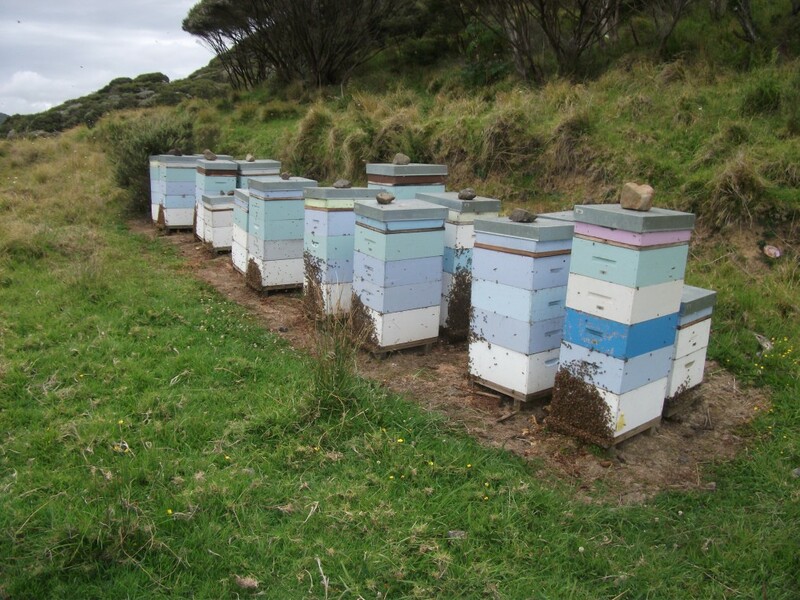 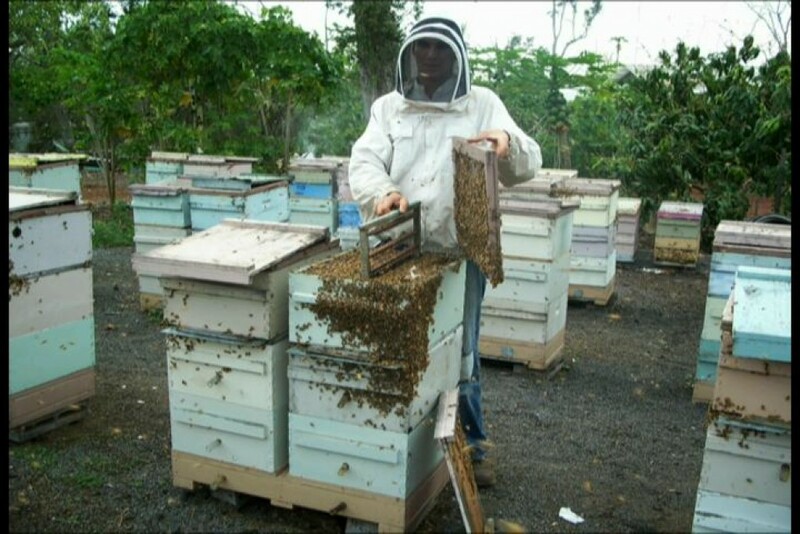 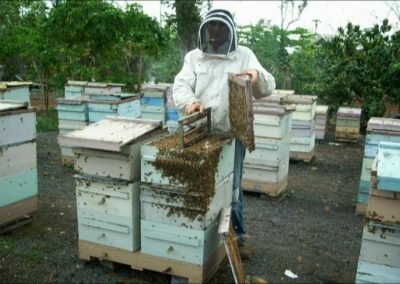 I was working for a dynamically developing company as a beekeeper-queen rearer. 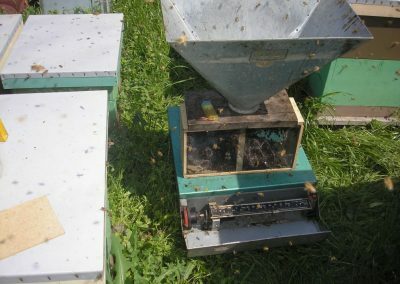 Because of the opposite trends of the seasons on the other side of the Earth, it was possible for me to go back to Hungary for the begining of queen rearing season (April-August).